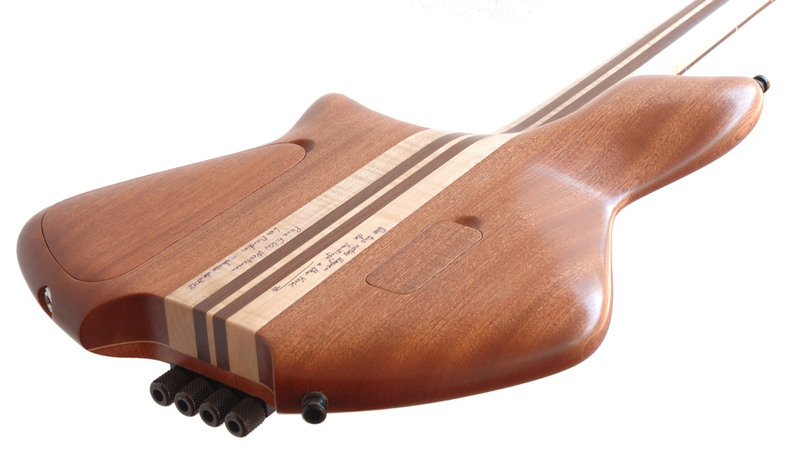 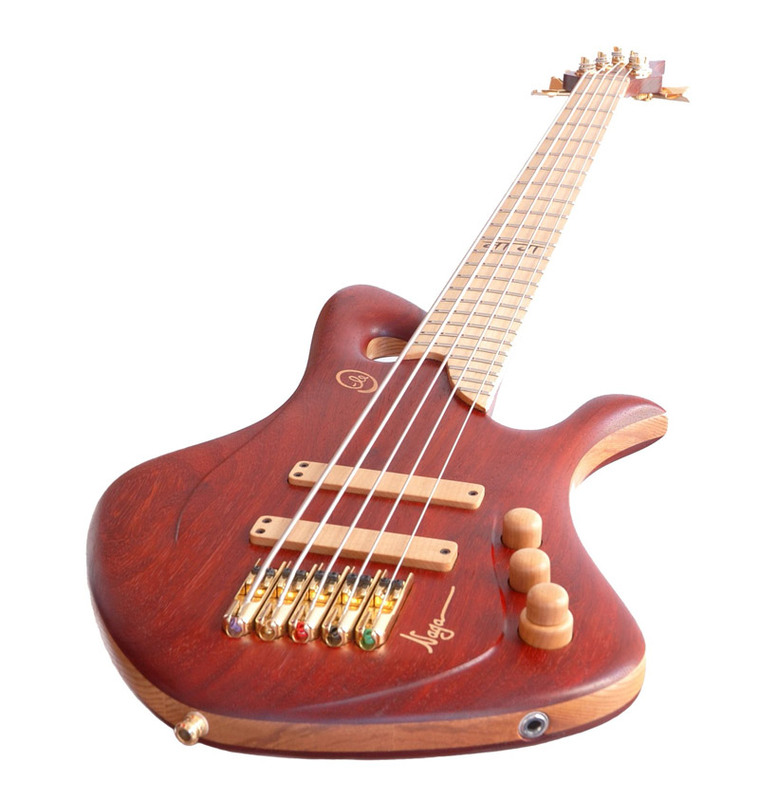 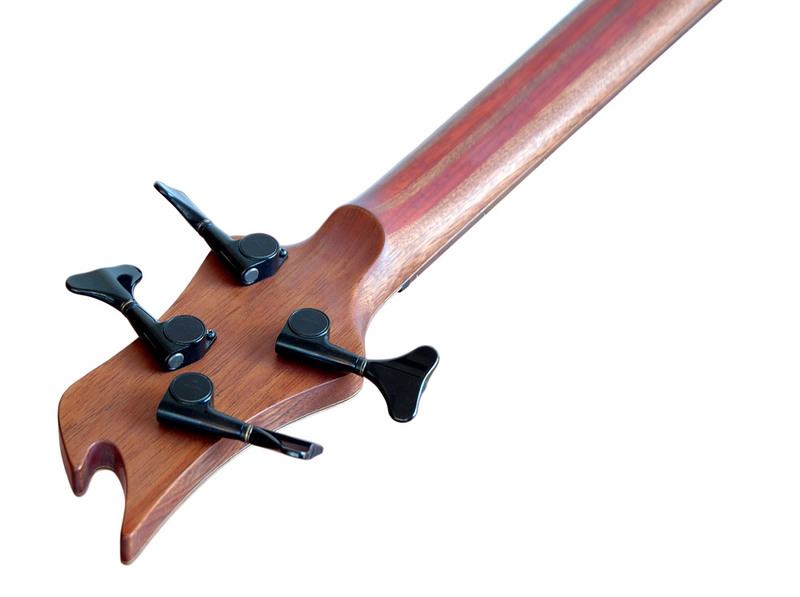 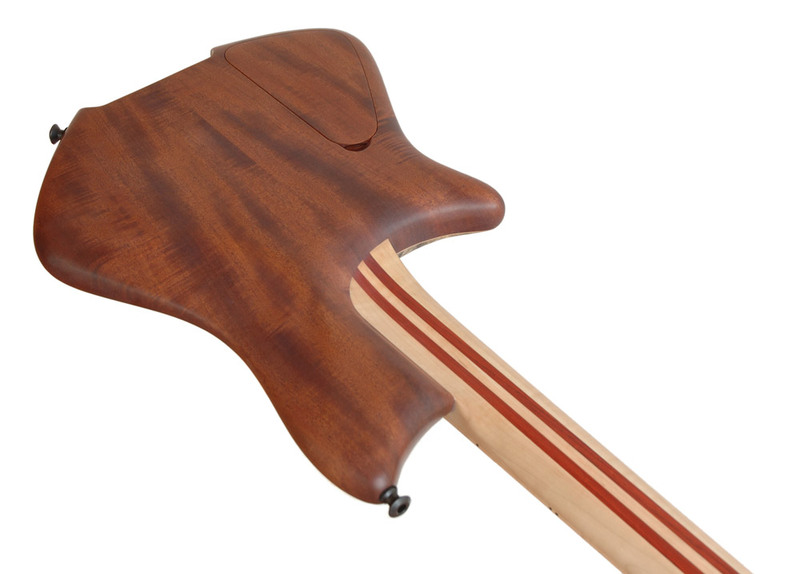 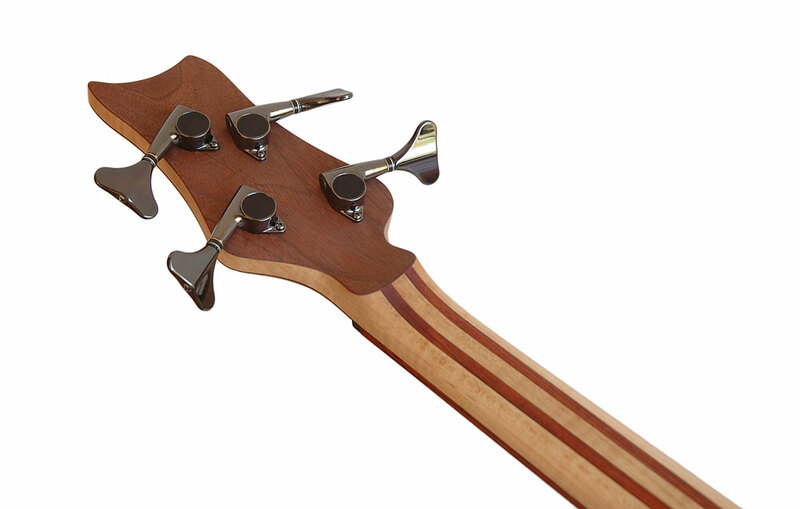 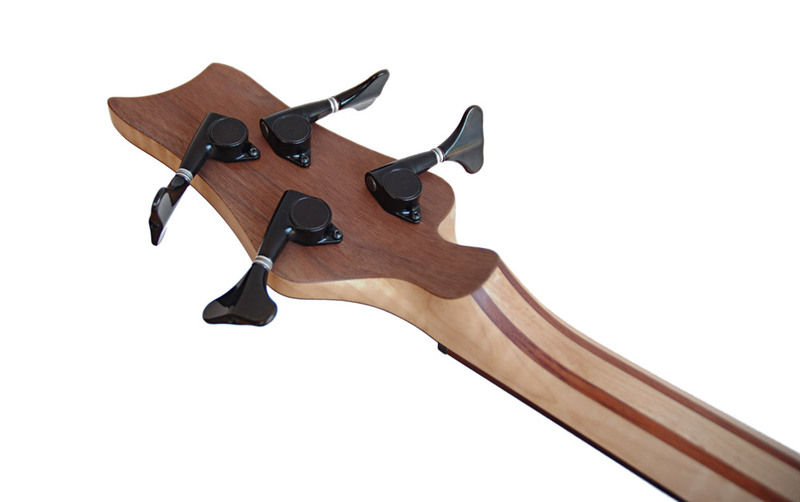 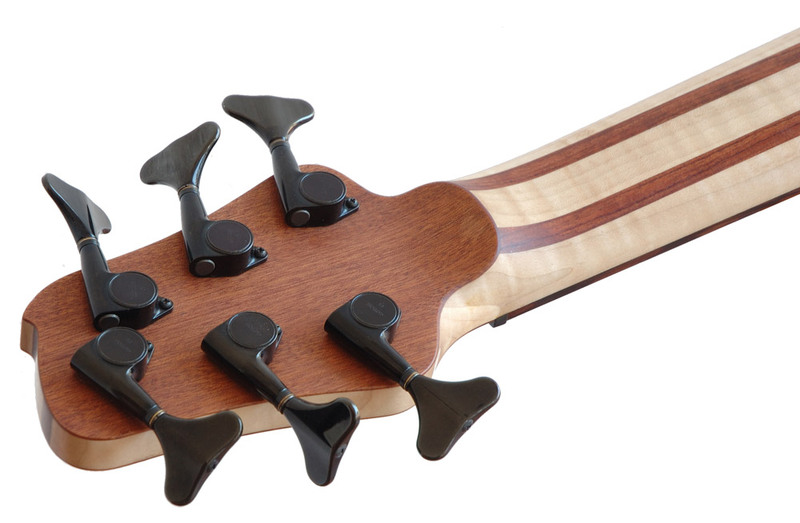 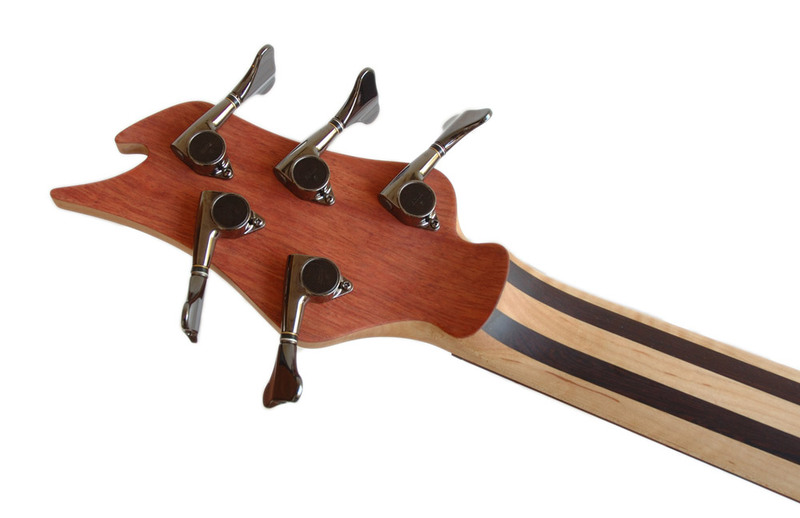 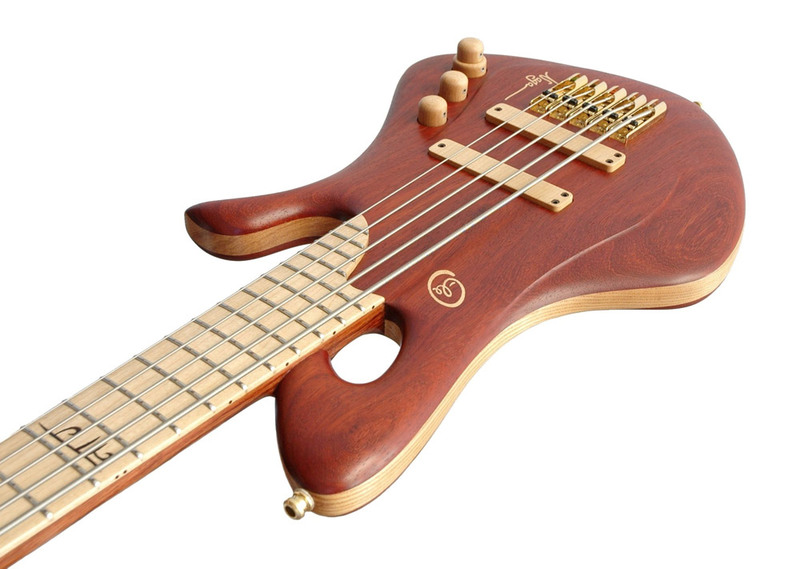 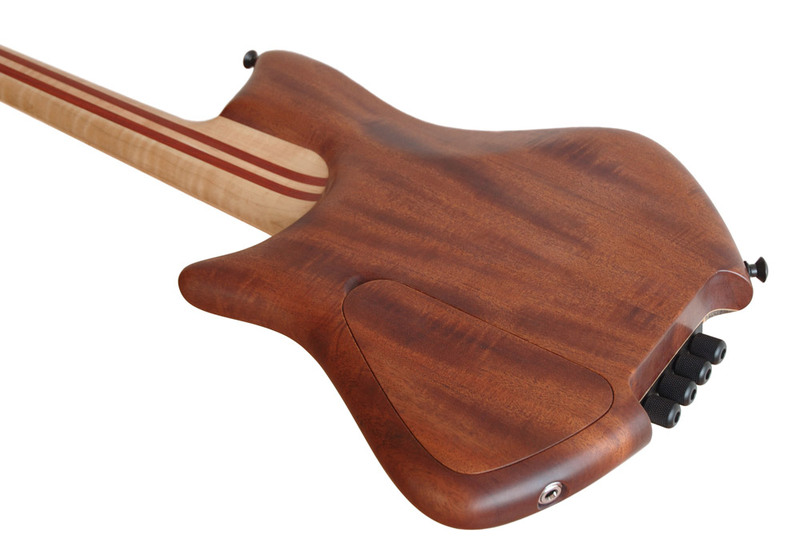 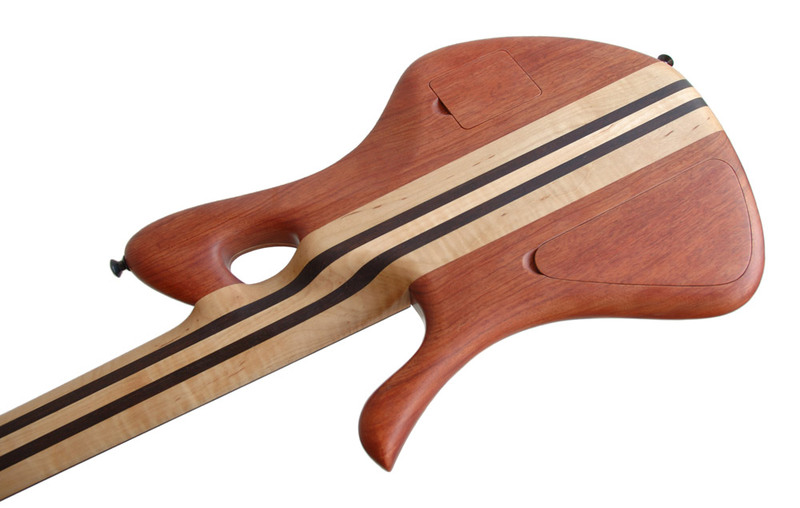 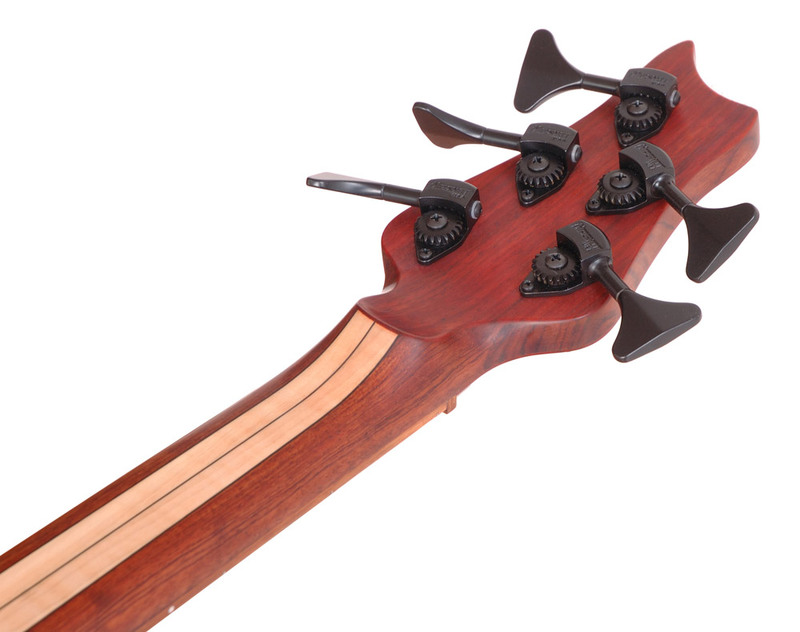 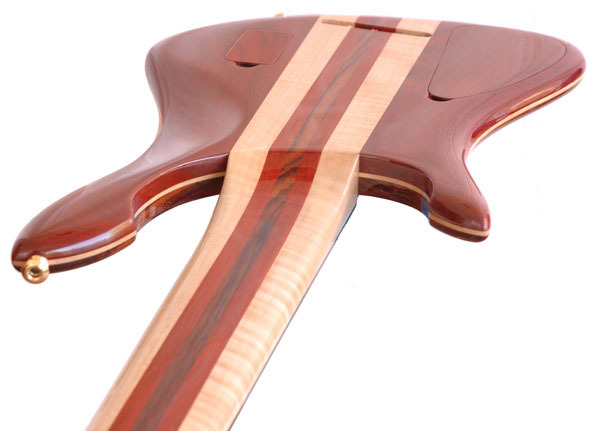 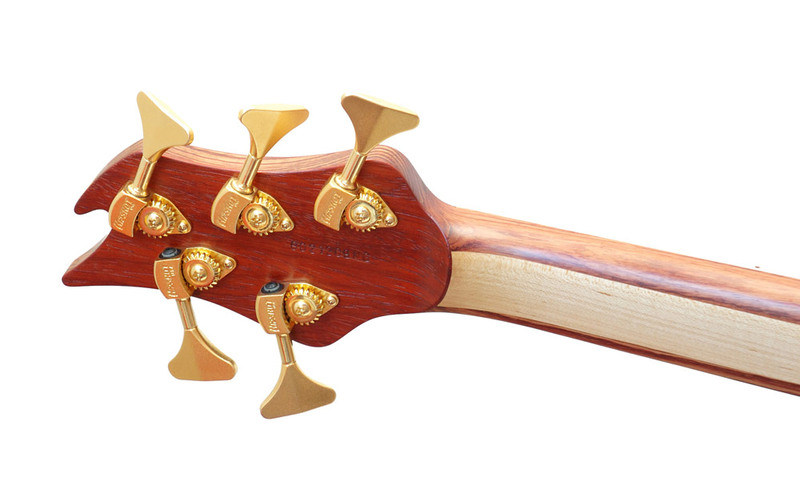 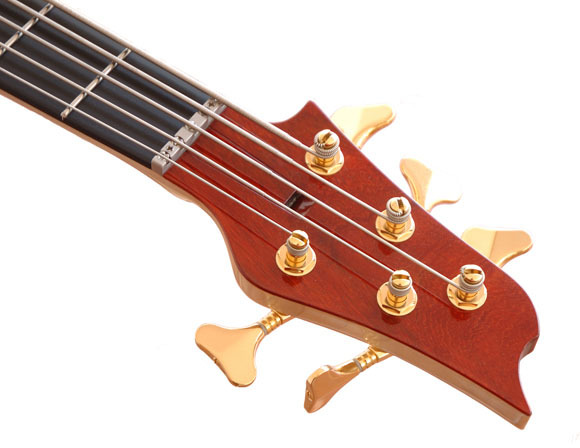 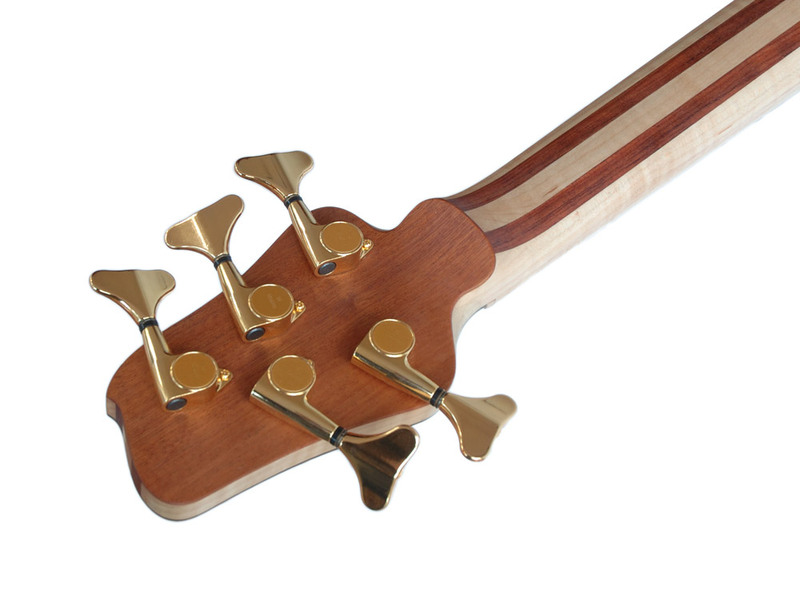 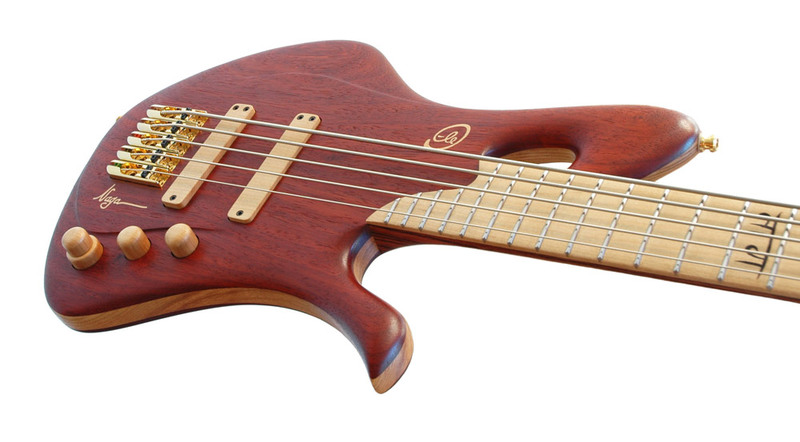 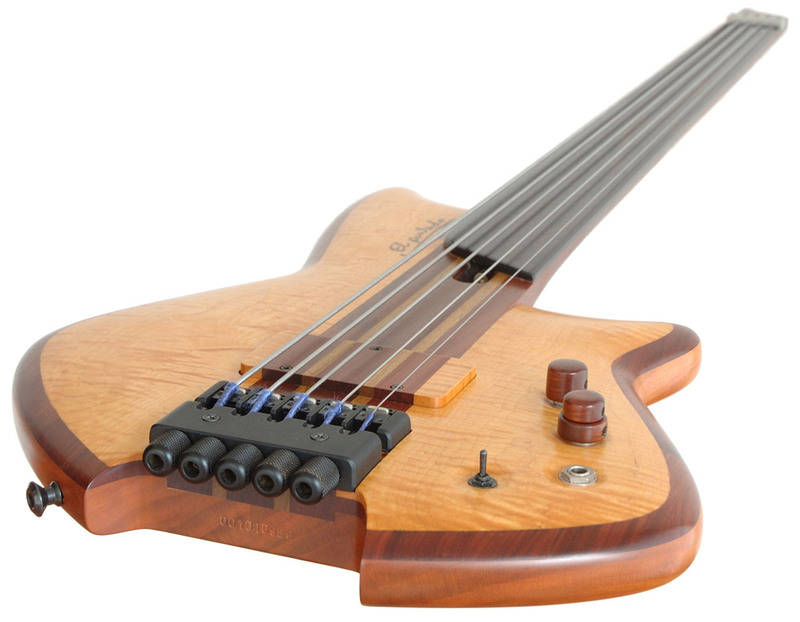 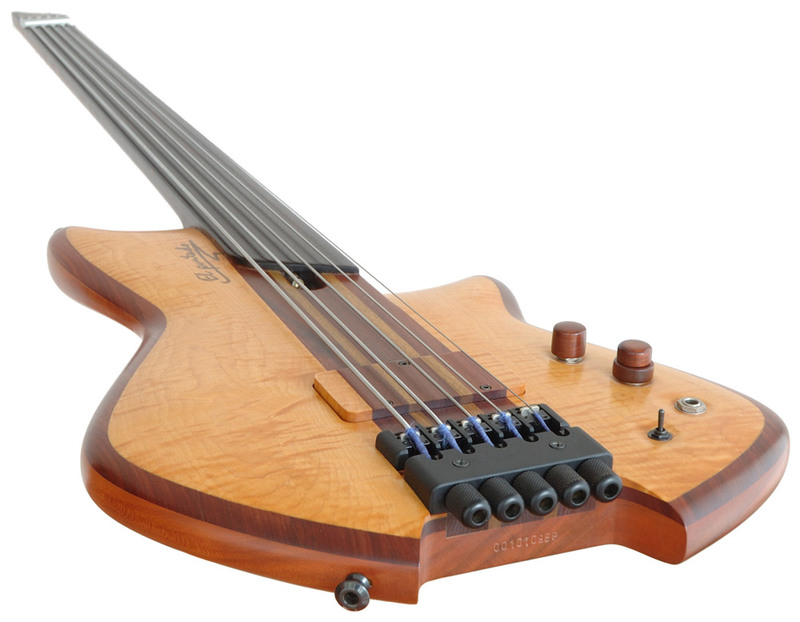 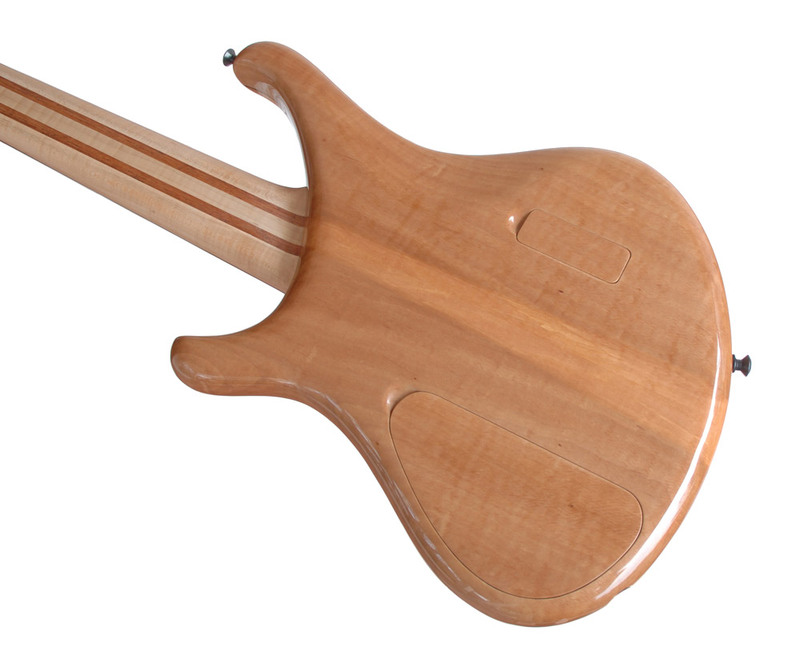 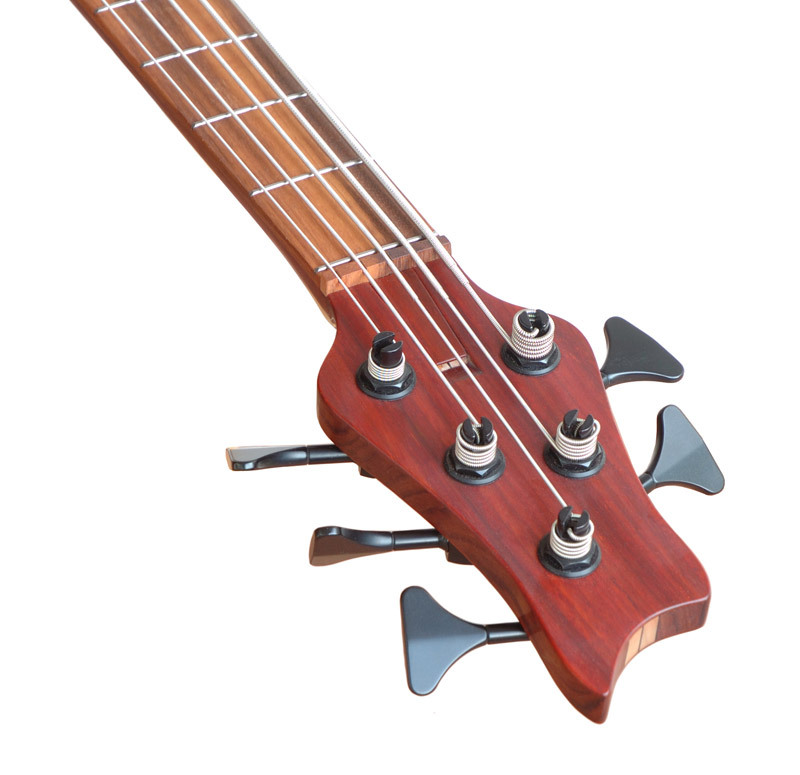 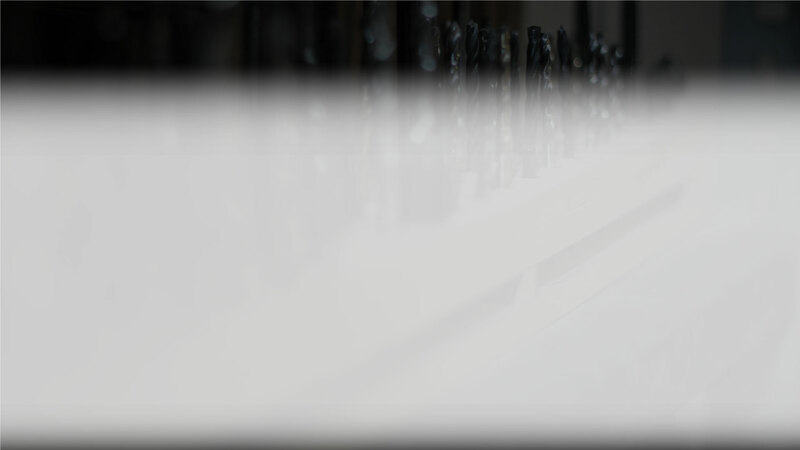 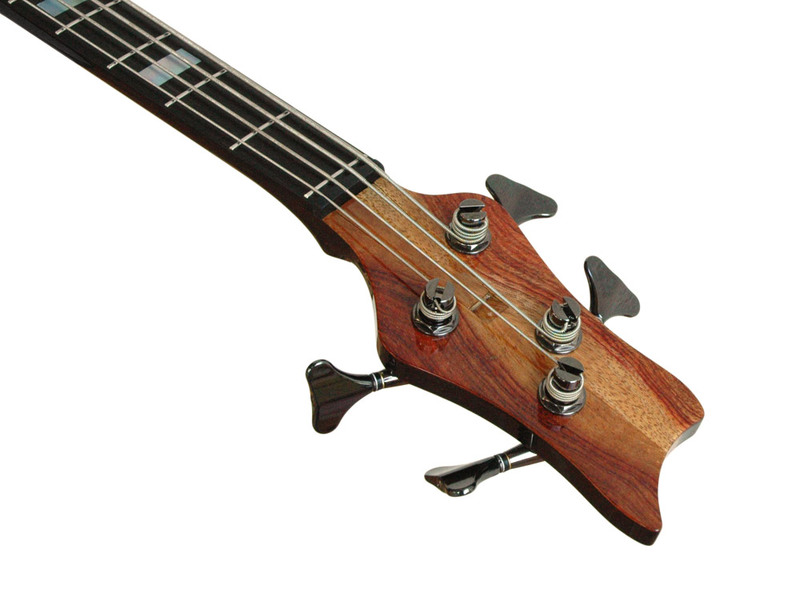 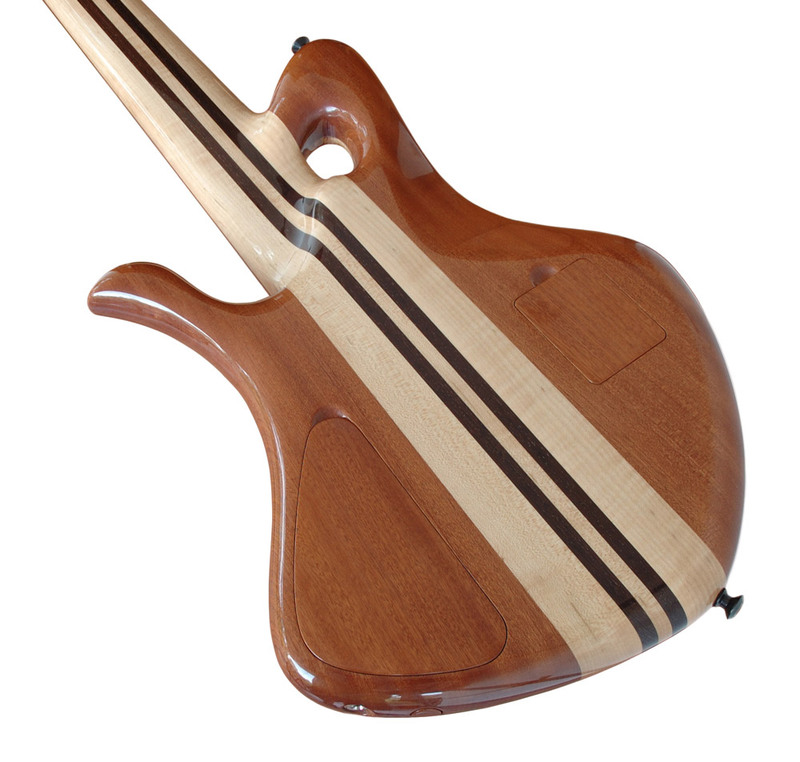 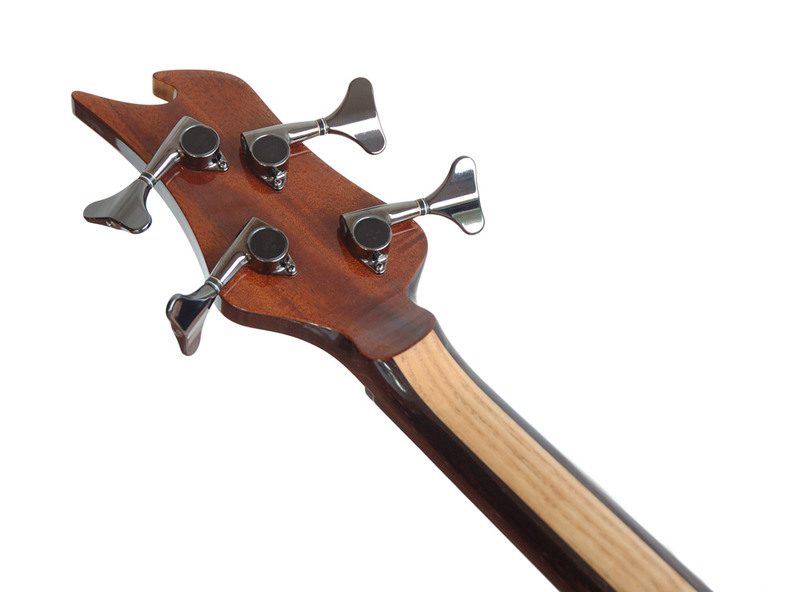 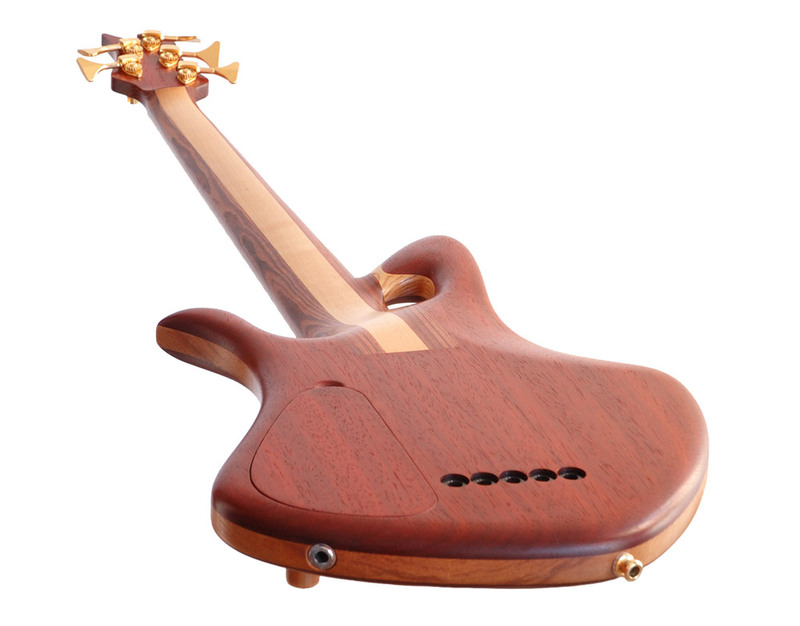 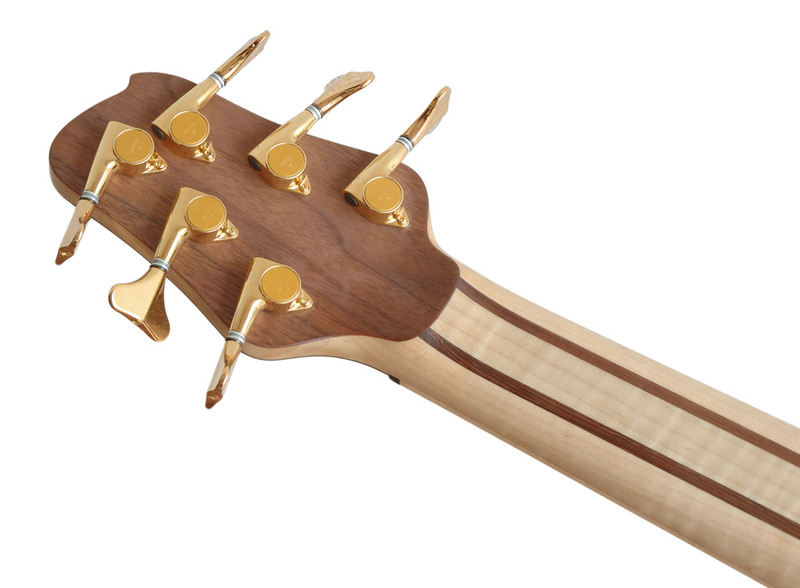 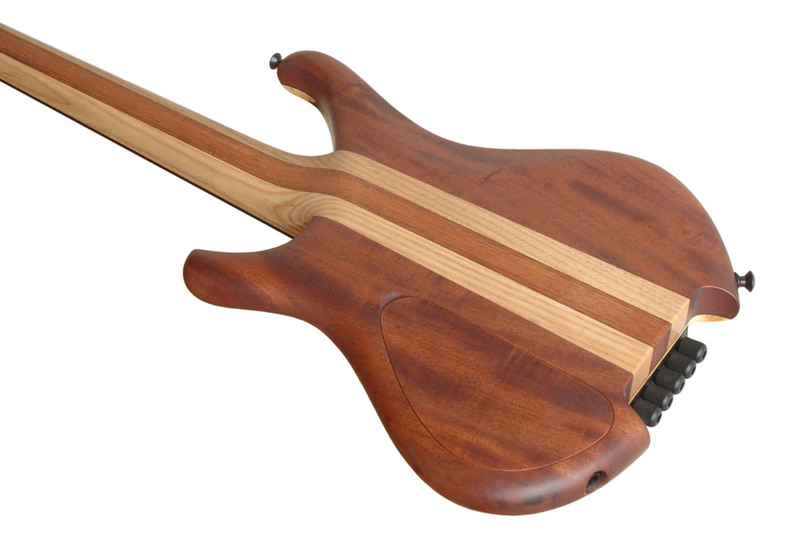 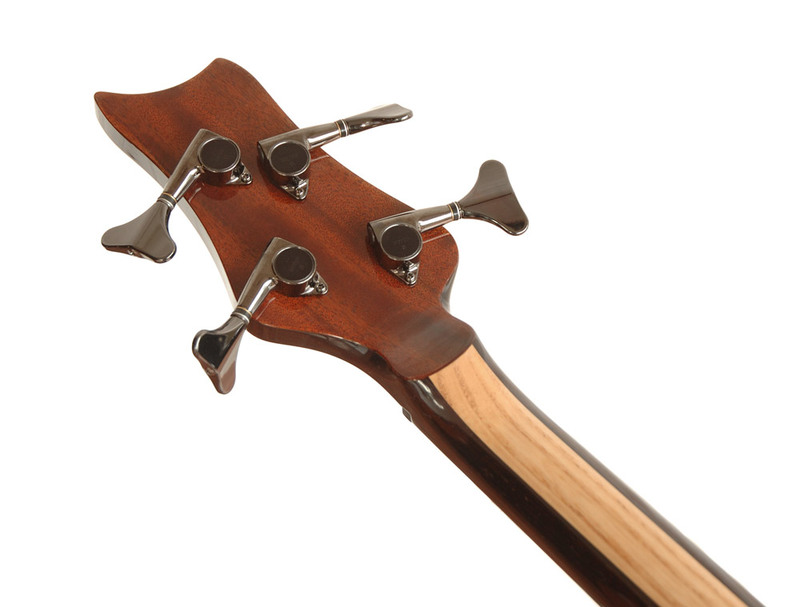 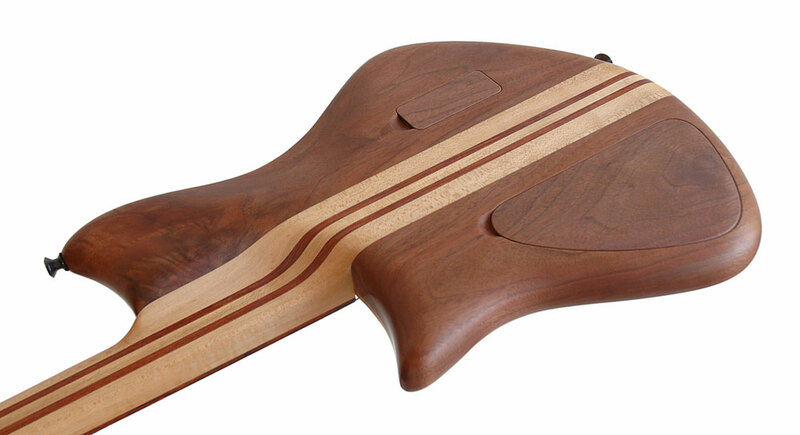 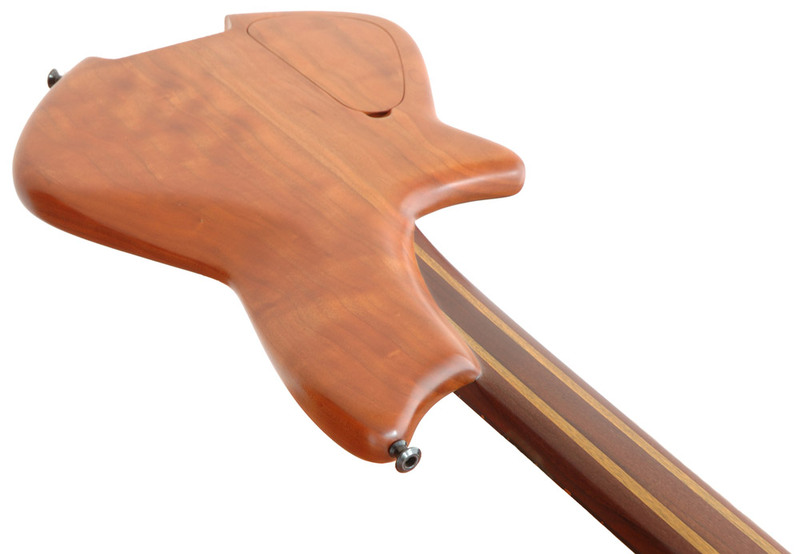 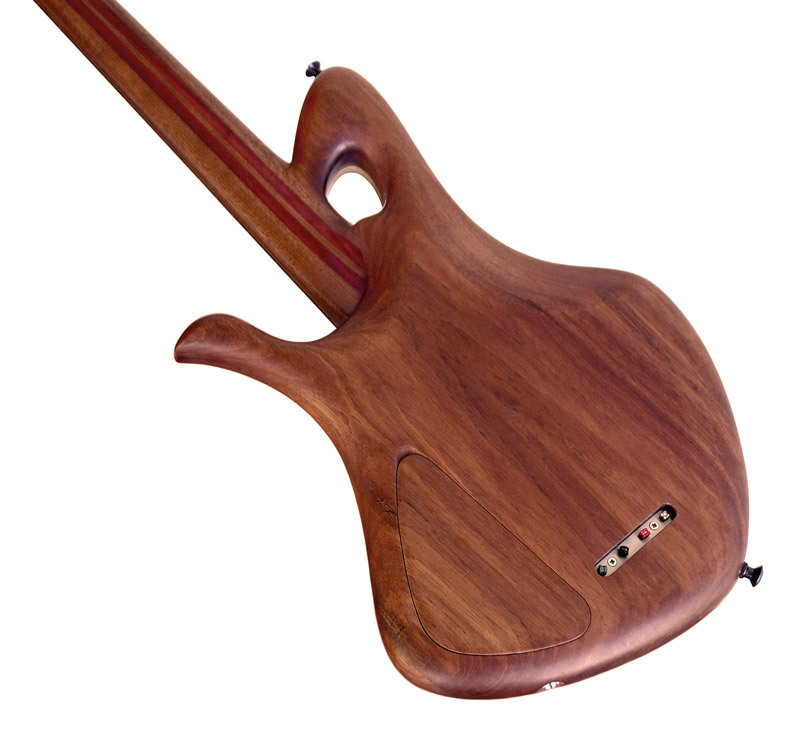 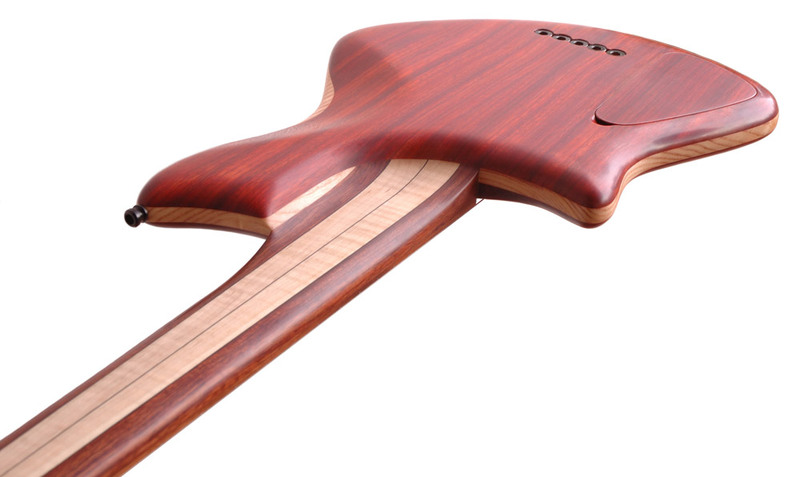 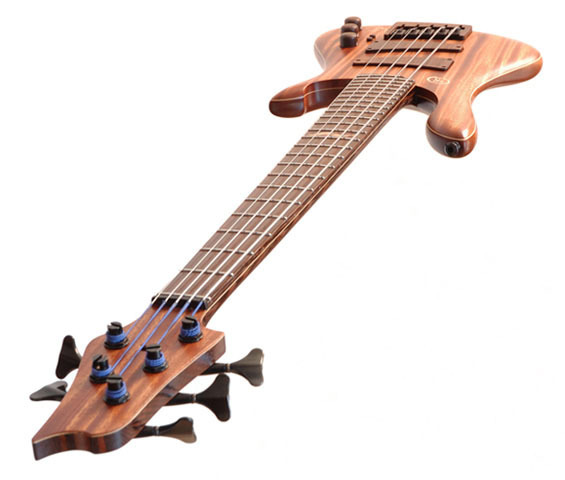 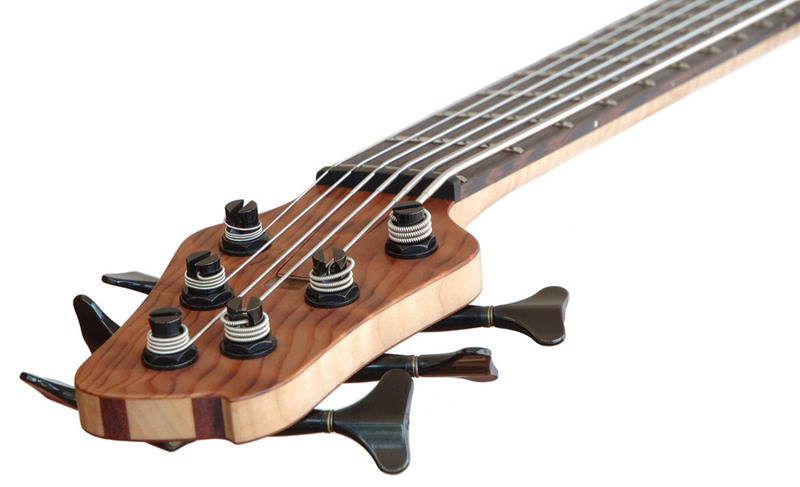 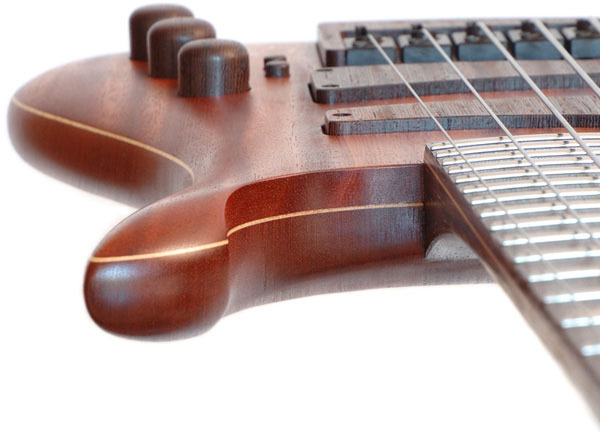 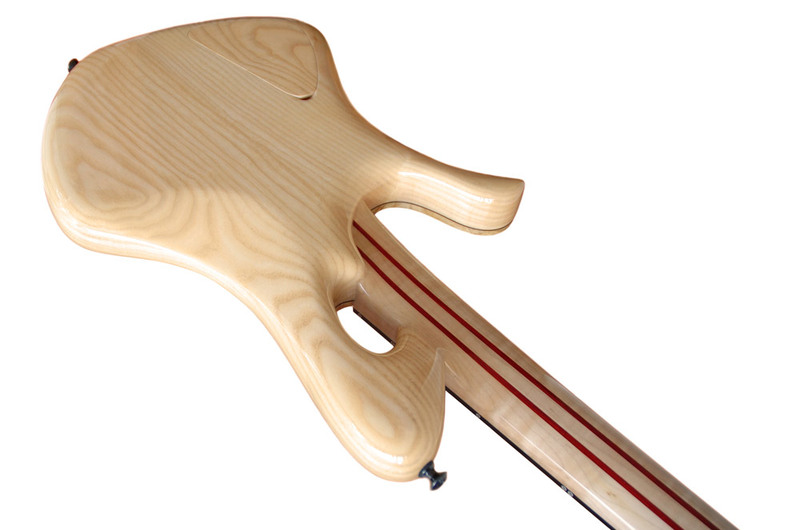 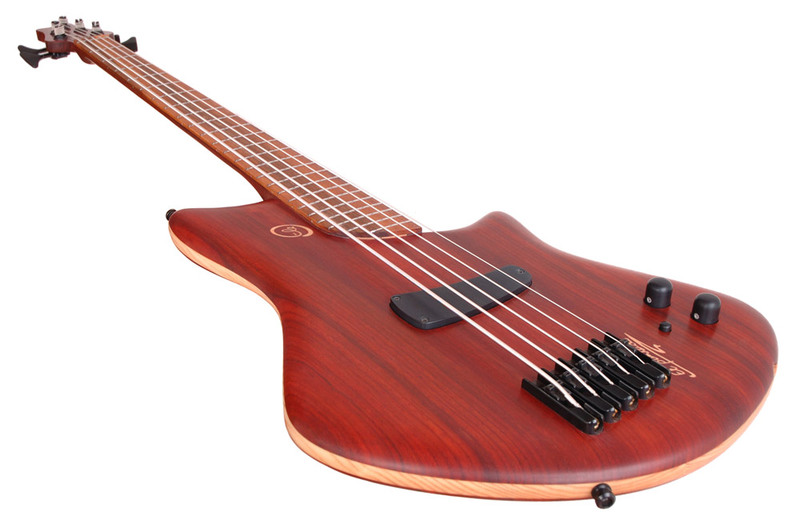 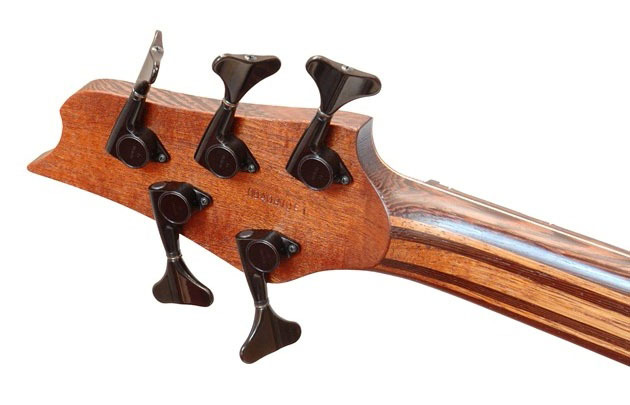 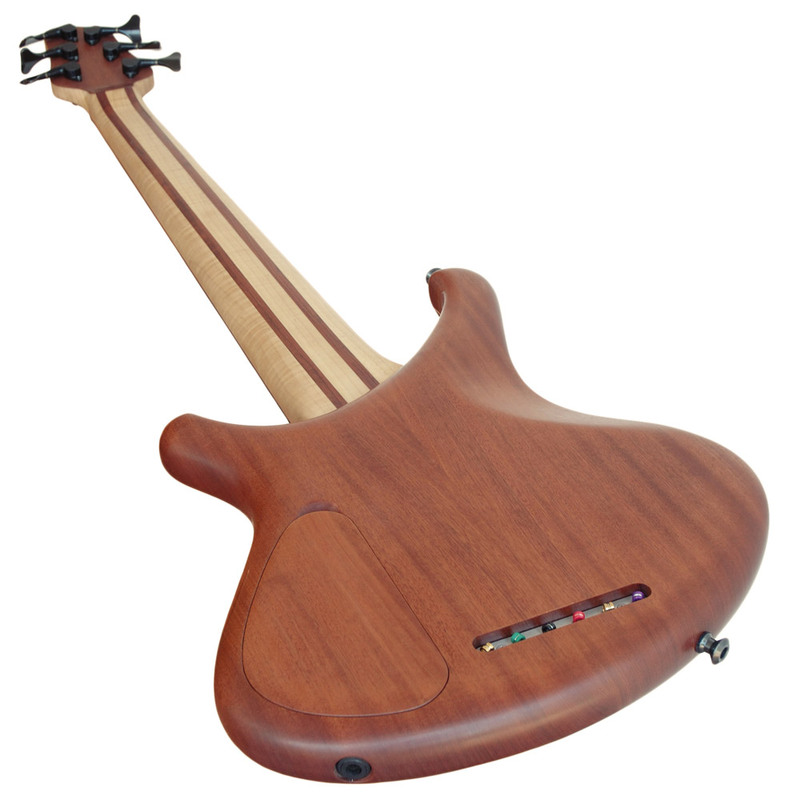 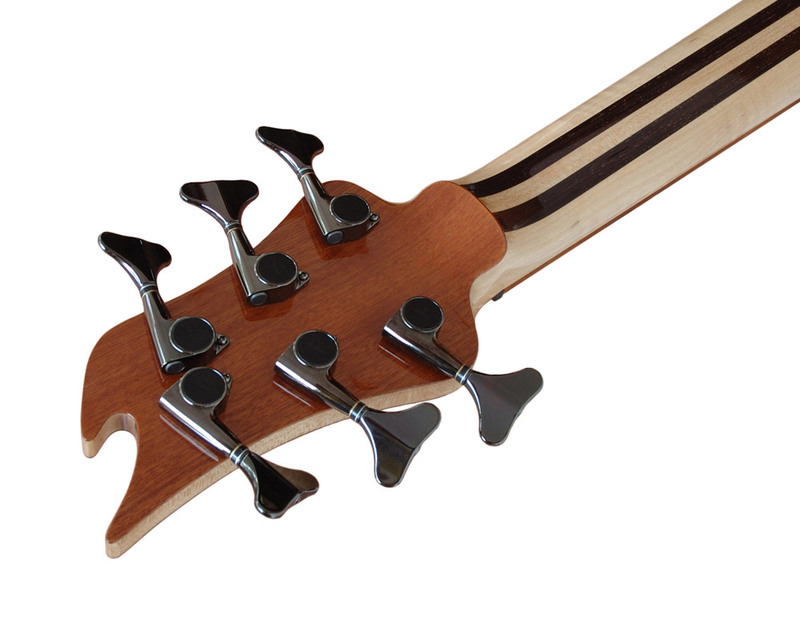 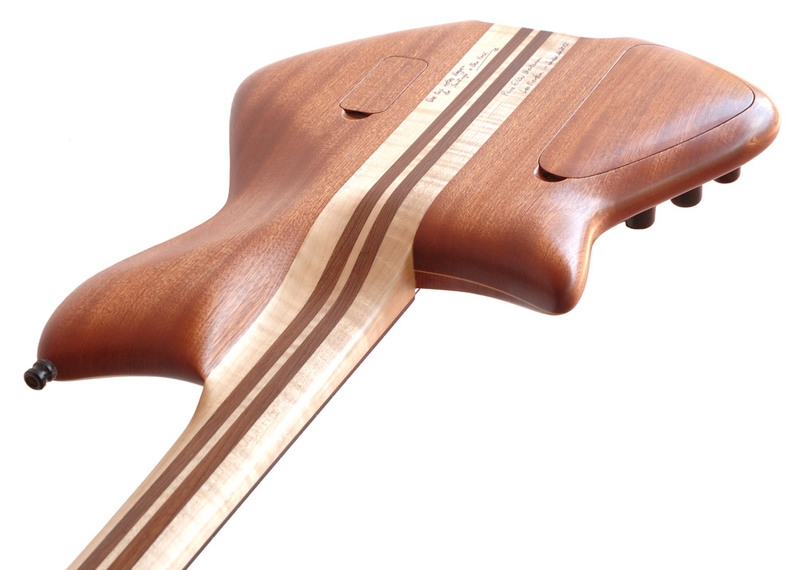 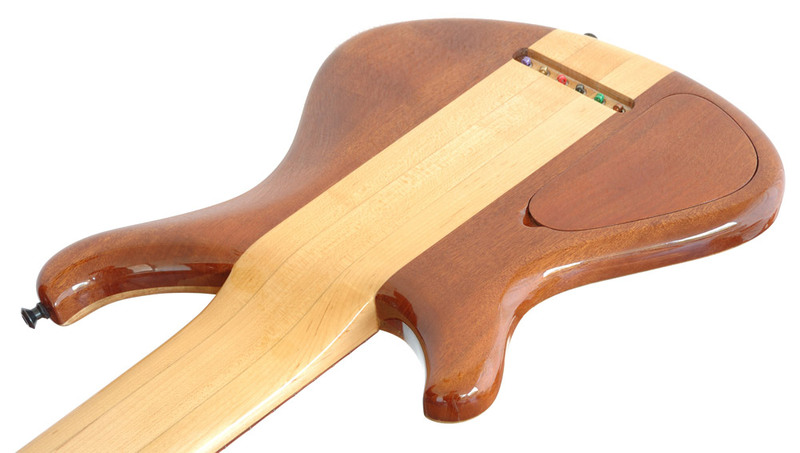 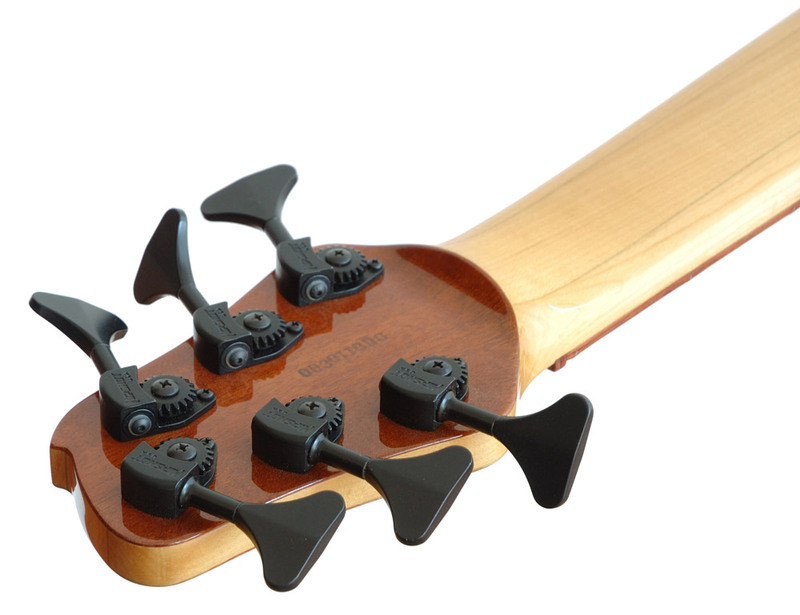 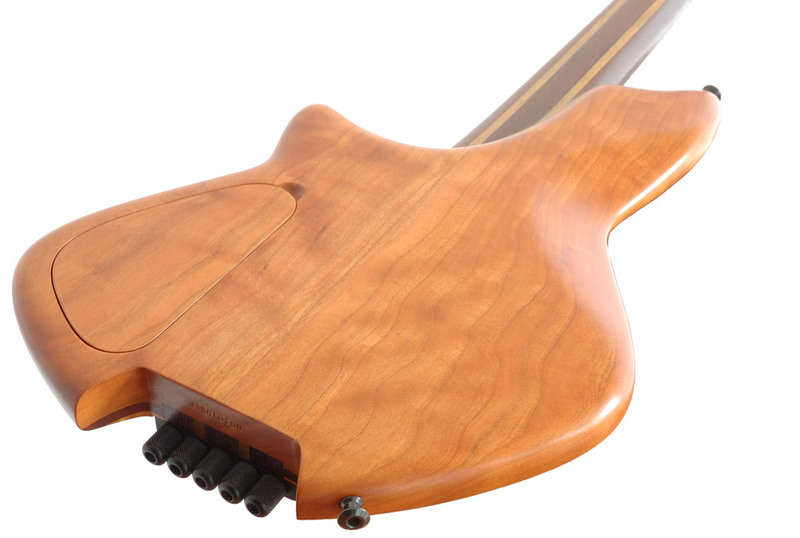 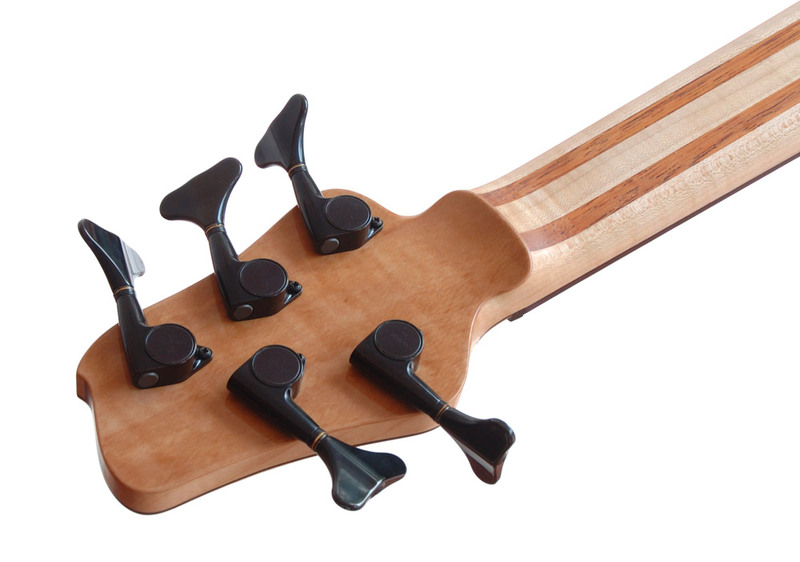 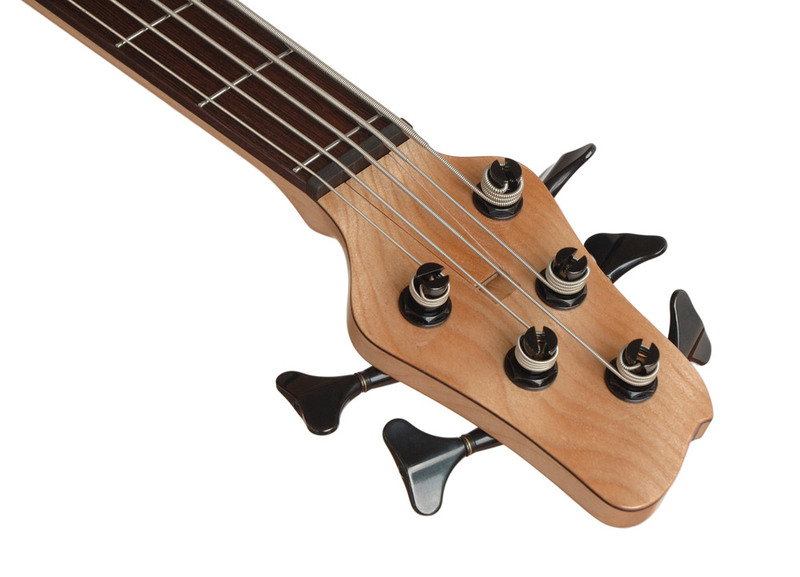 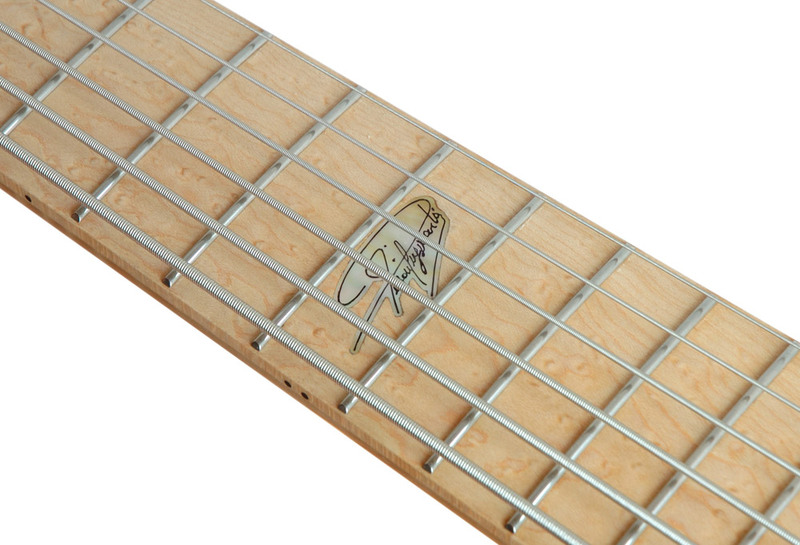 A WELL BALANCED HEADLESS DESIGN (NOT ALWAYS) FOR A VERY COMFORTABLE PLAYING POSITION. 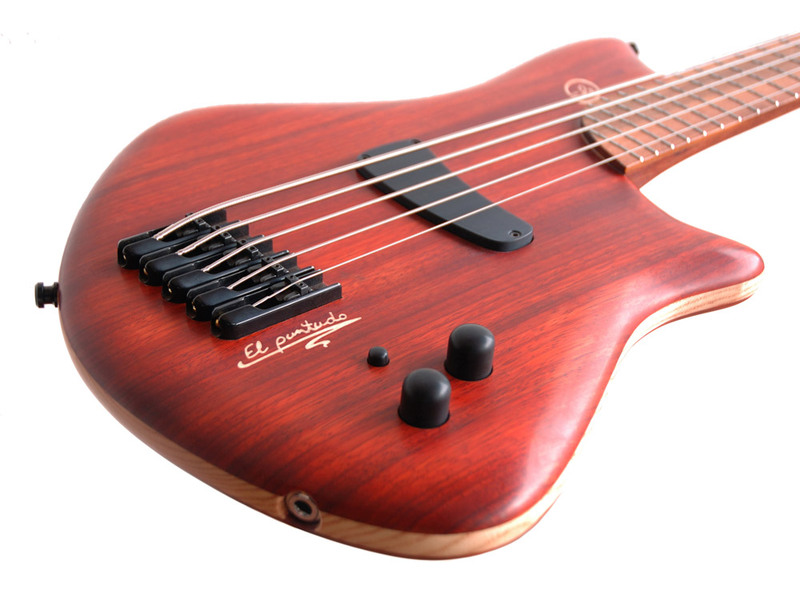 THE NAME EL PUNTUDO MEANS "POINTY" IN SPANISH. 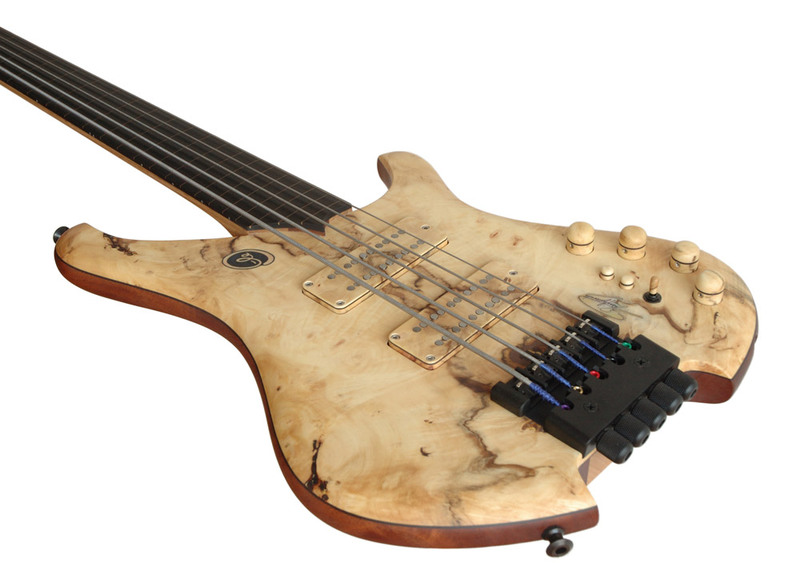 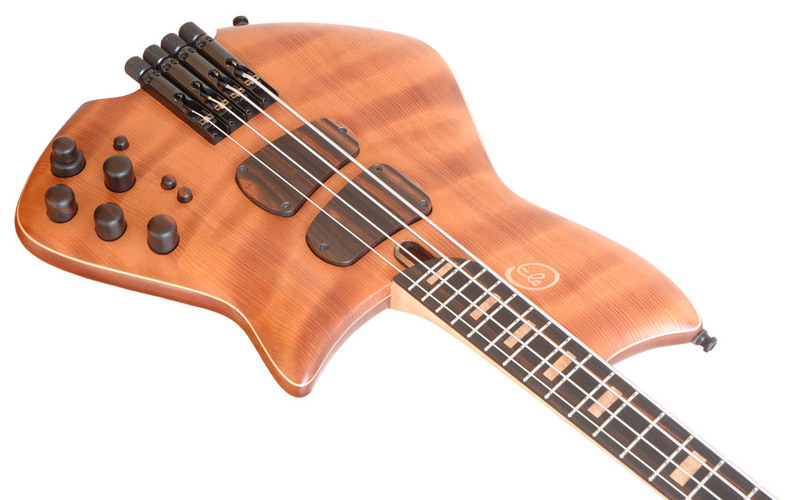 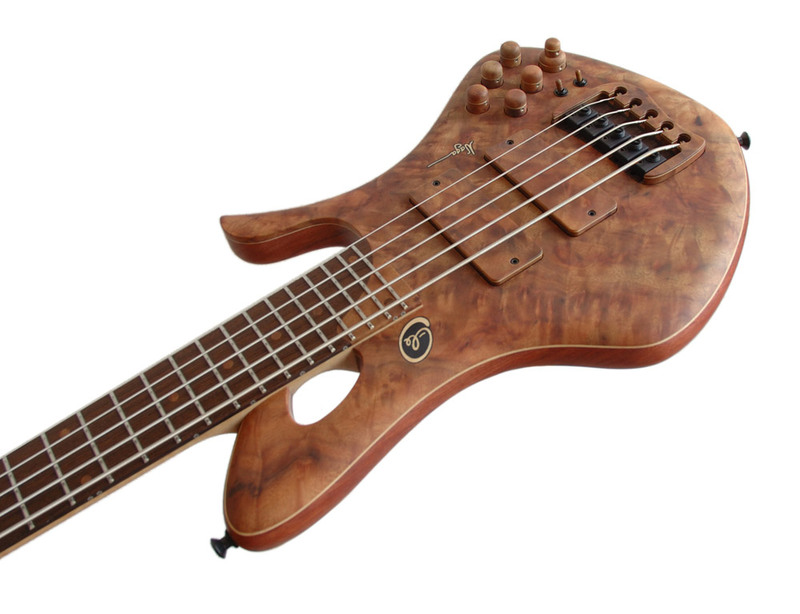 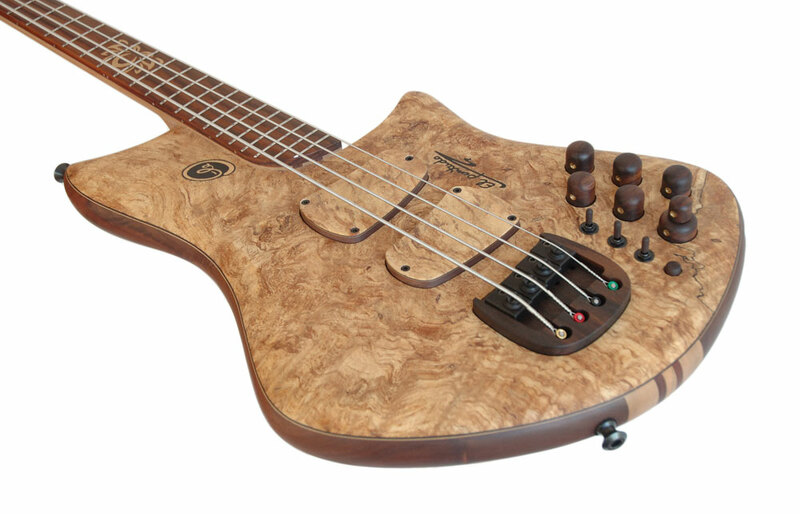 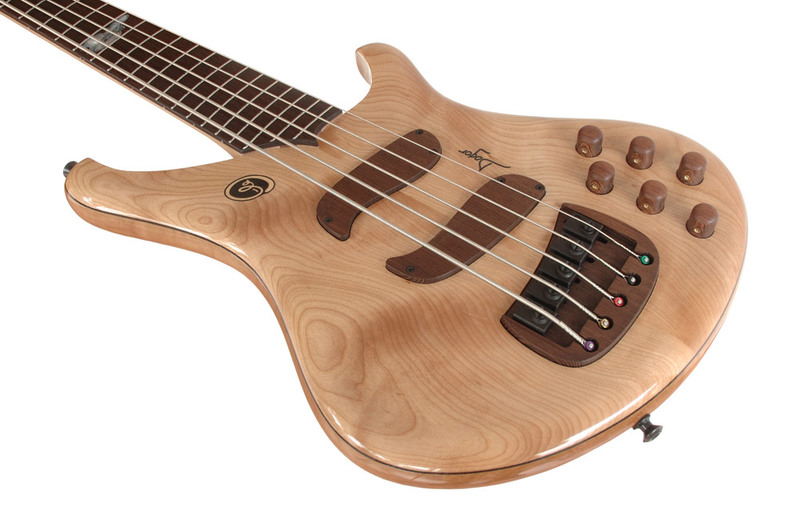 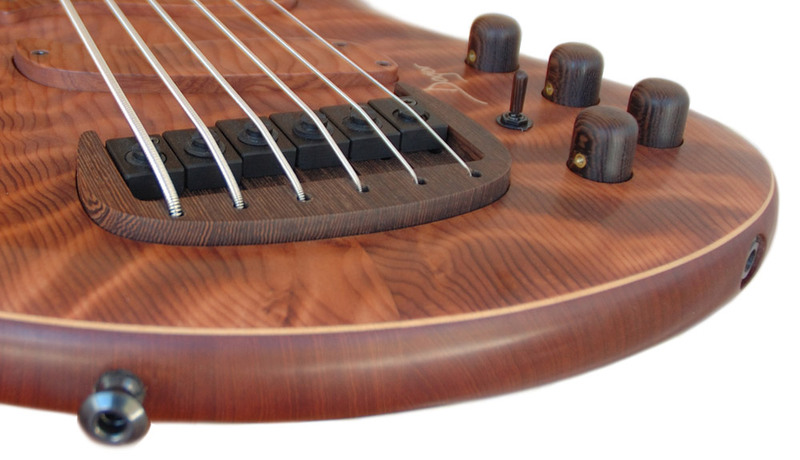 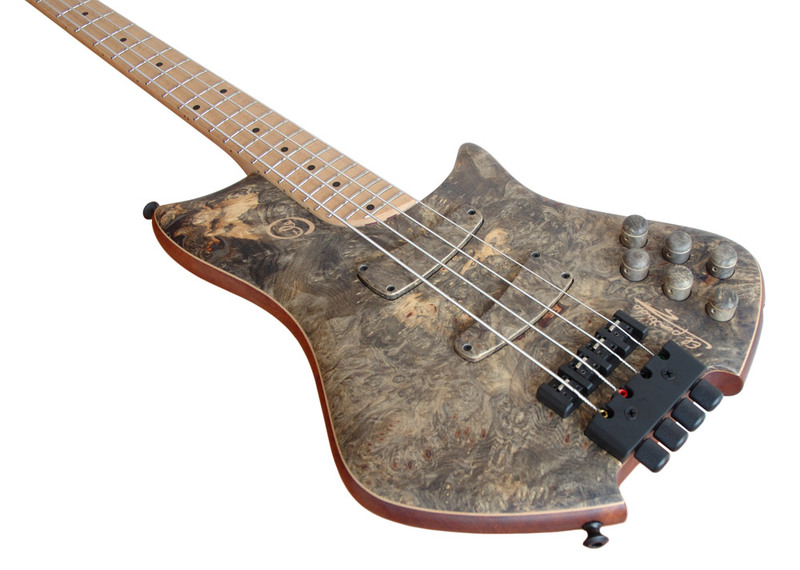 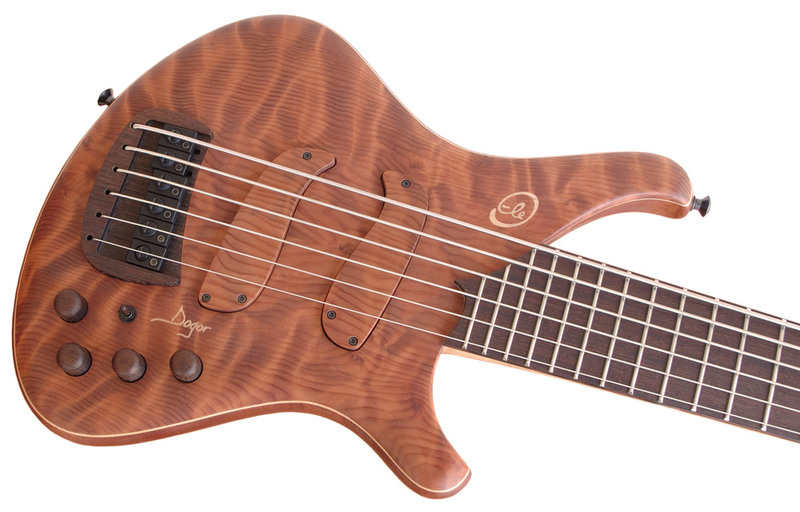 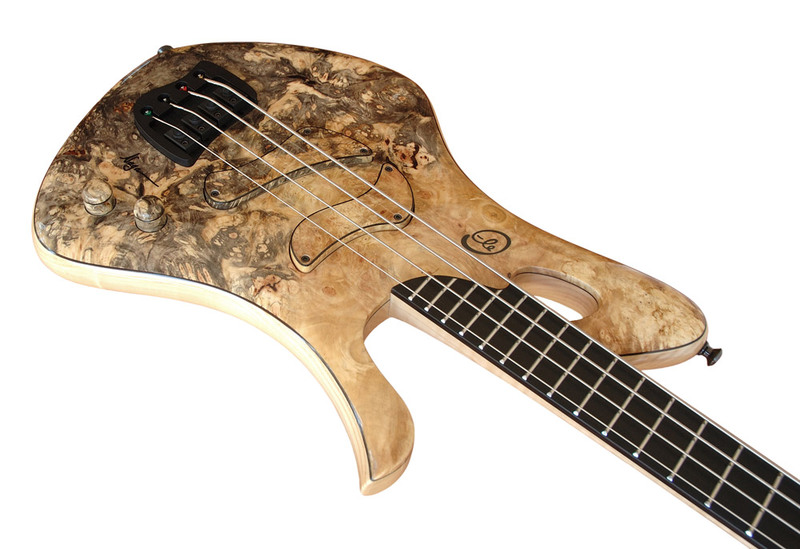 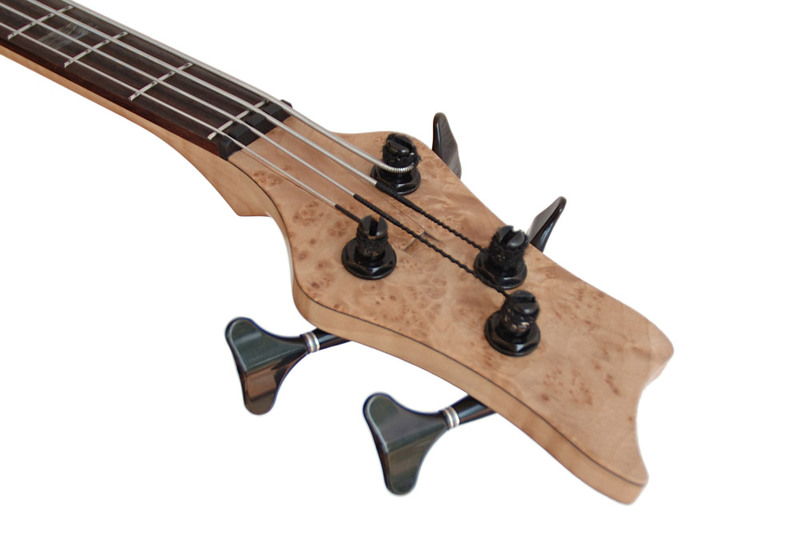 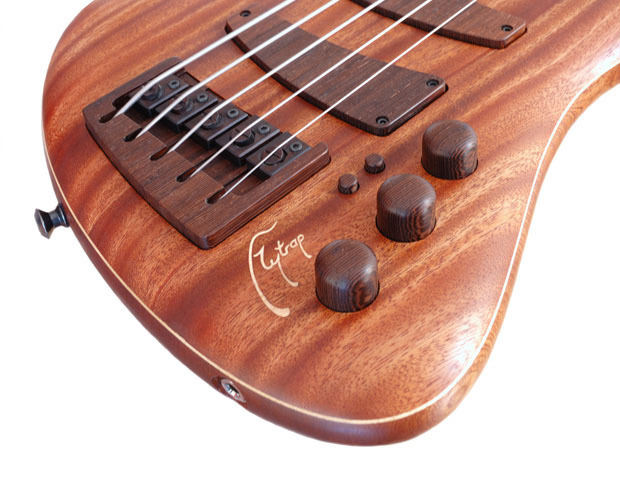 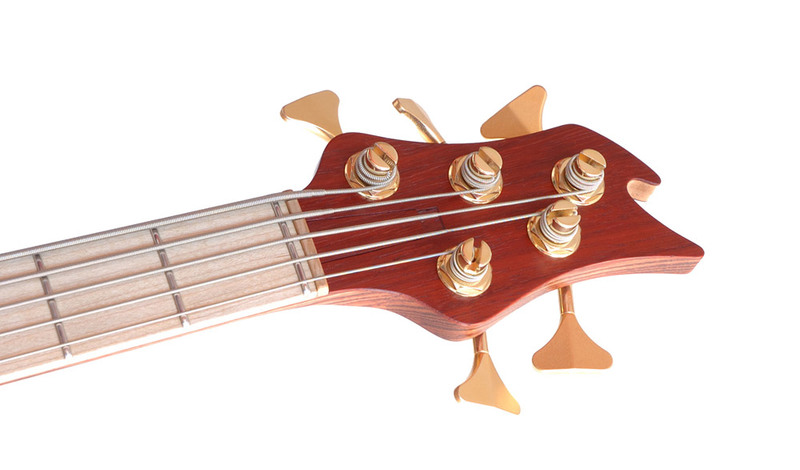 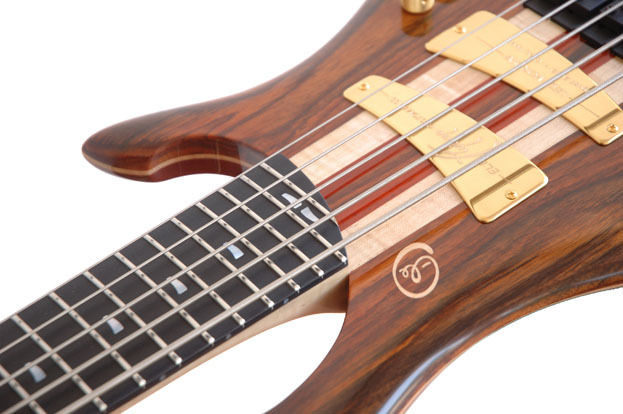 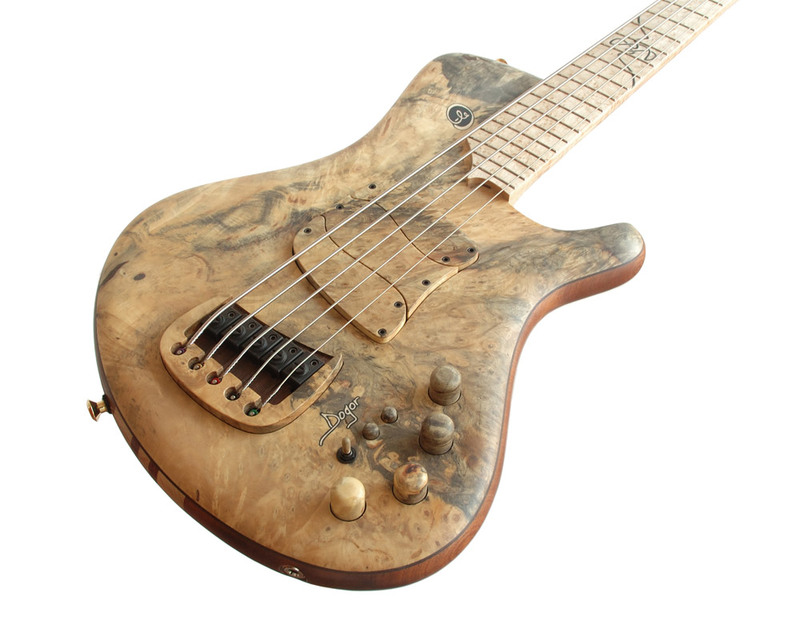 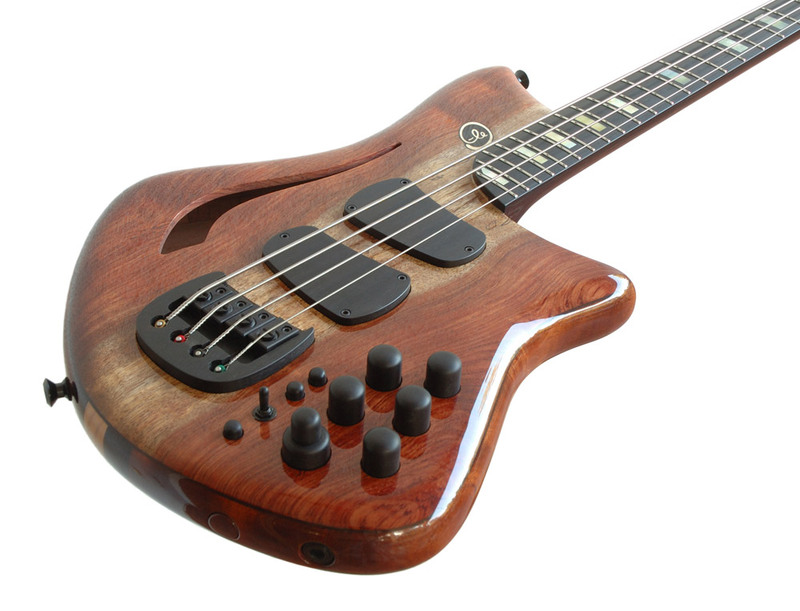 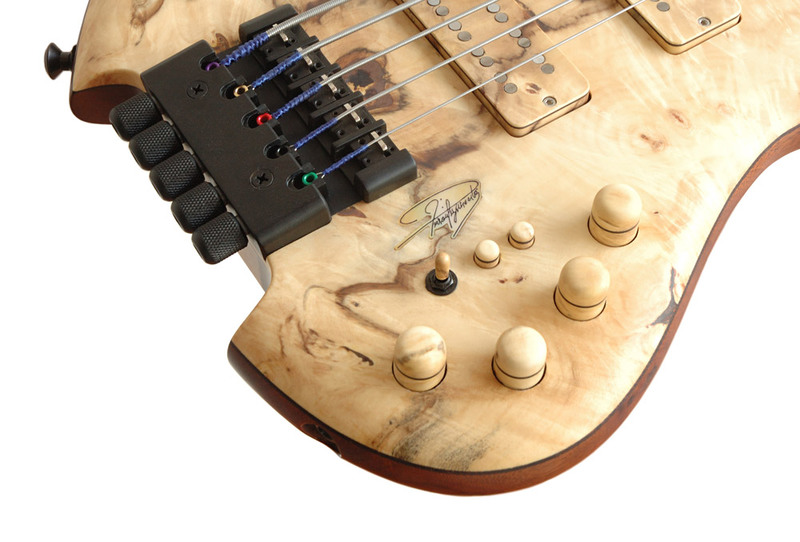 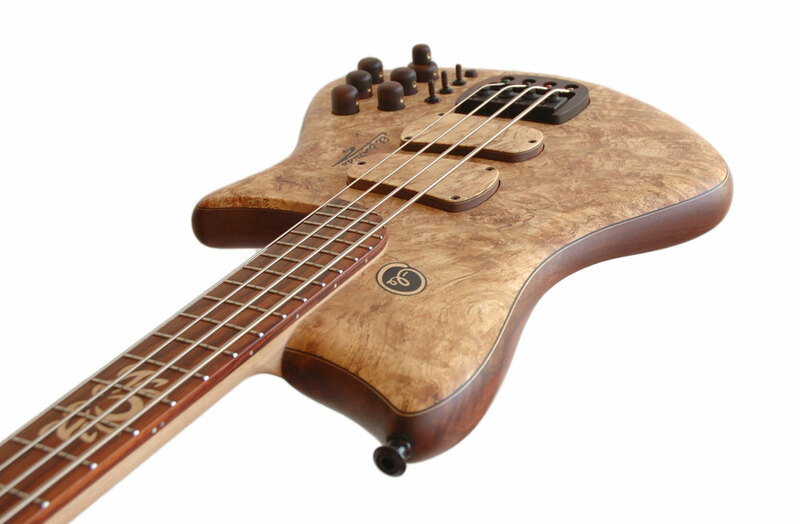 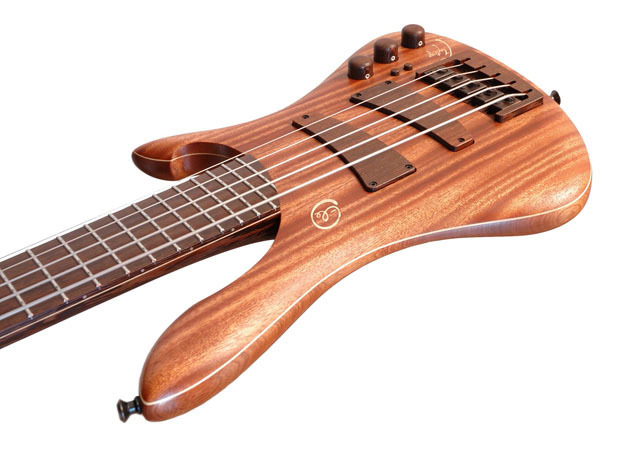 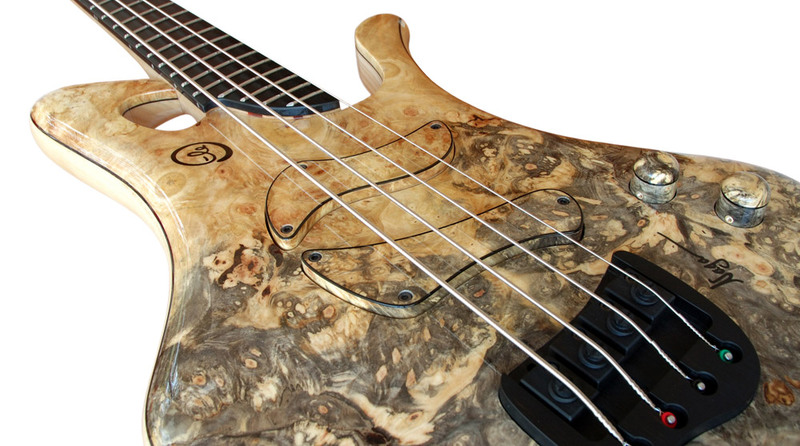 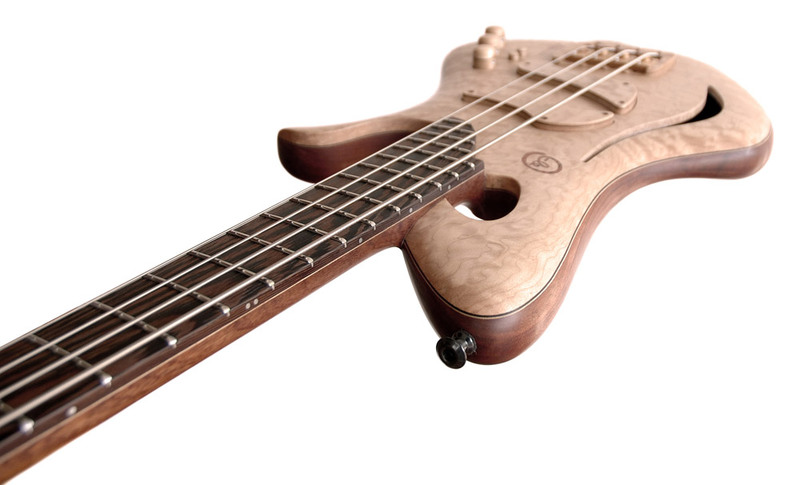 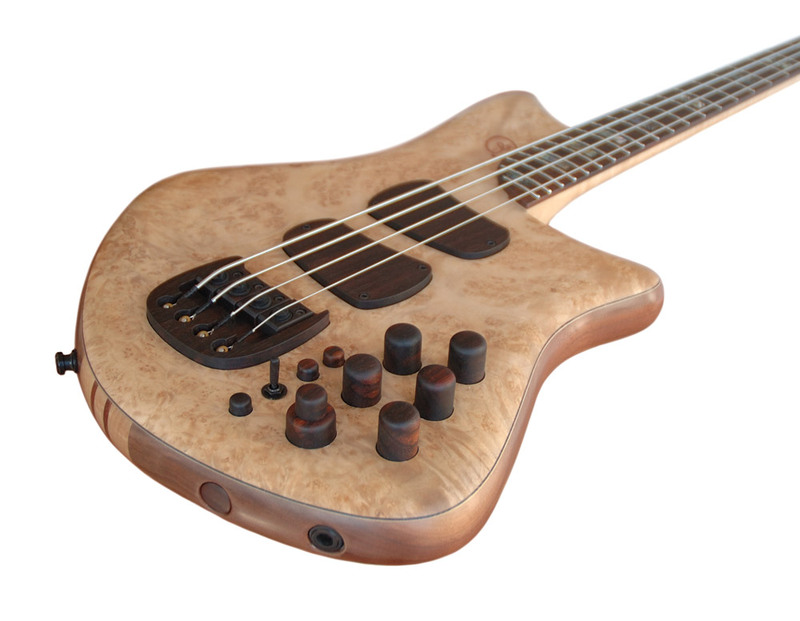 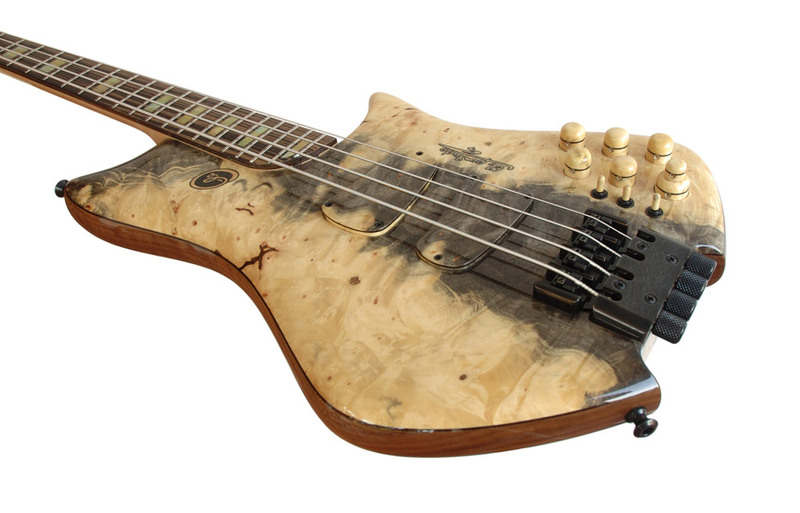 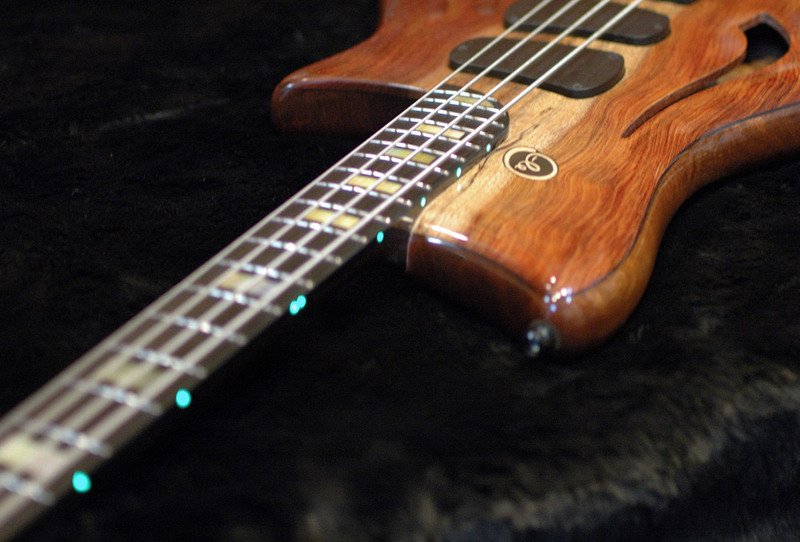 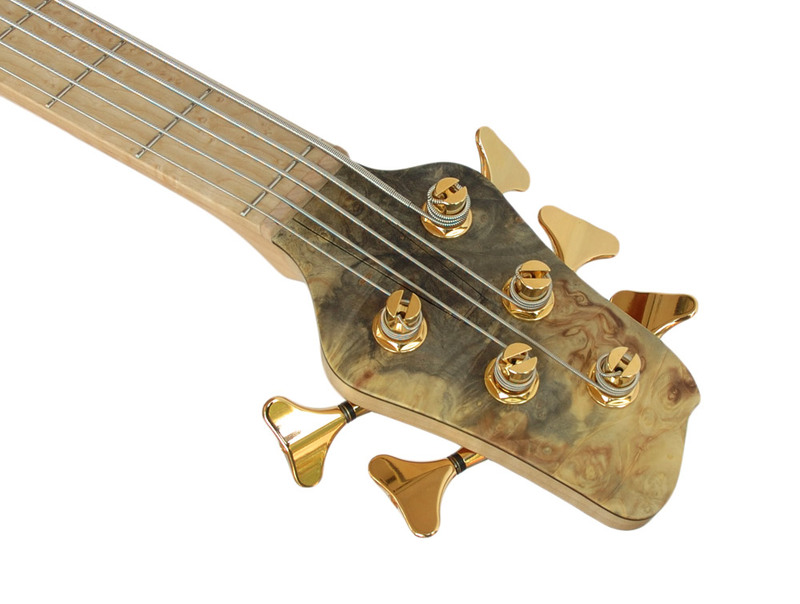 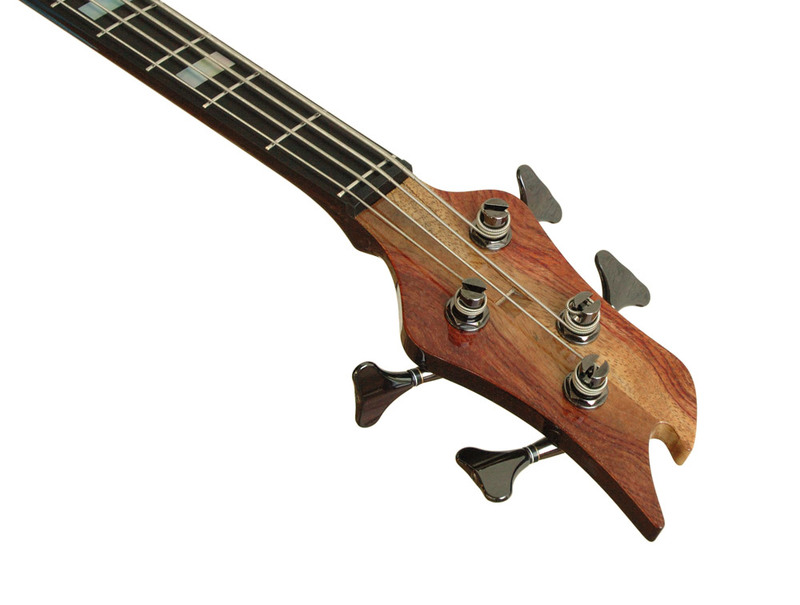 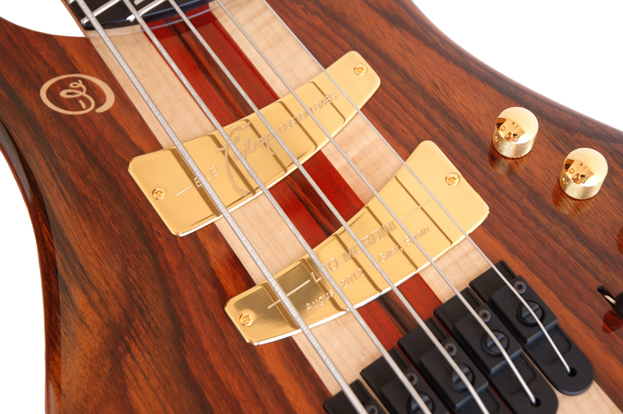 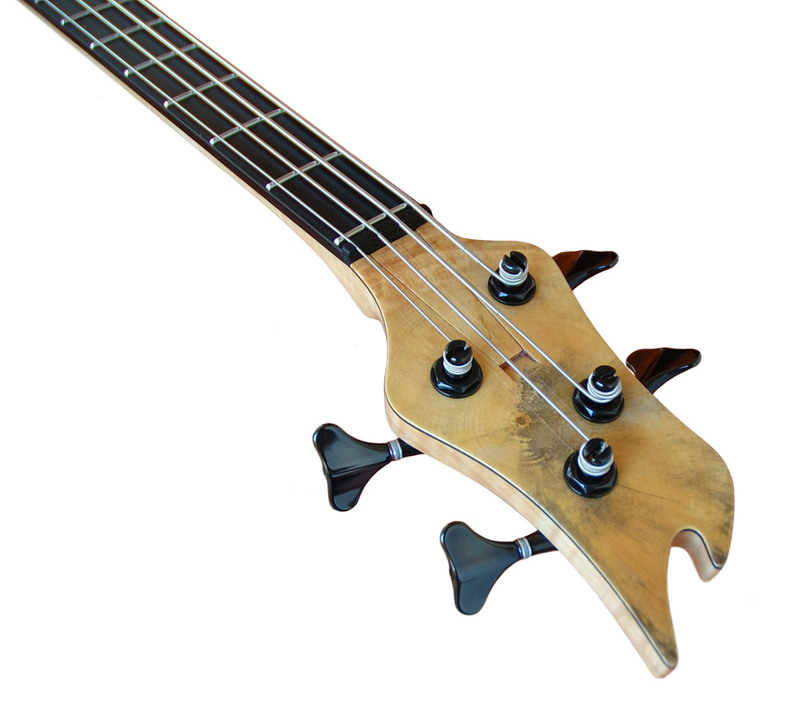 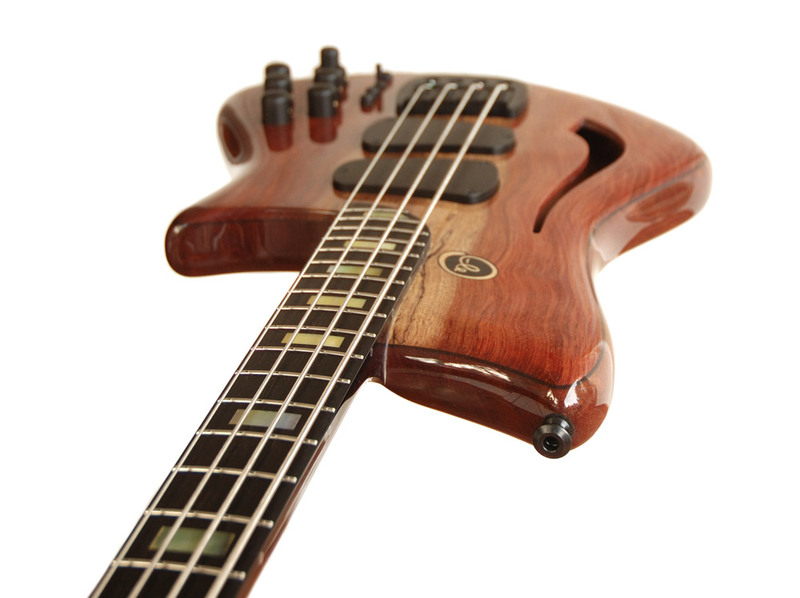 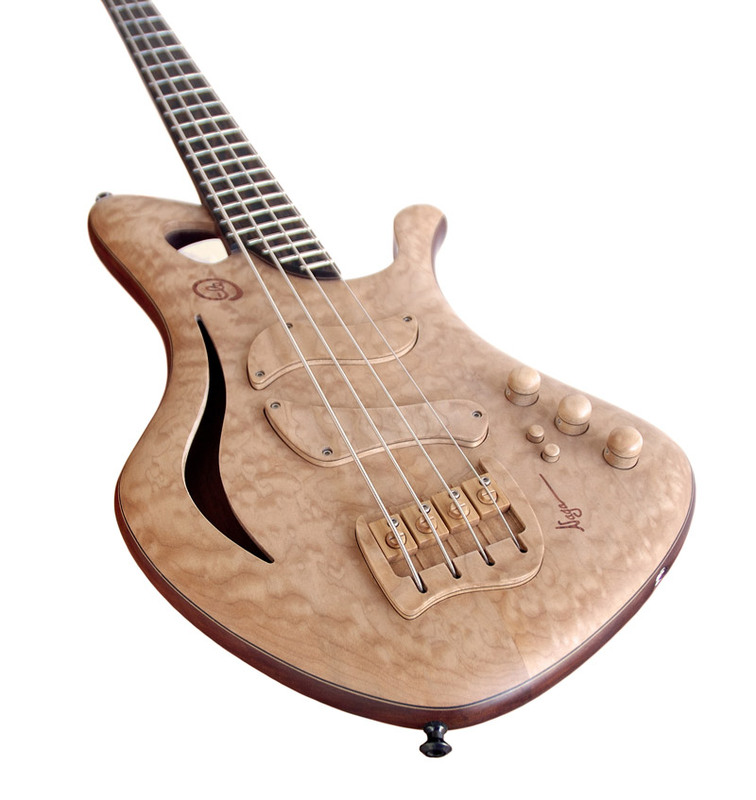 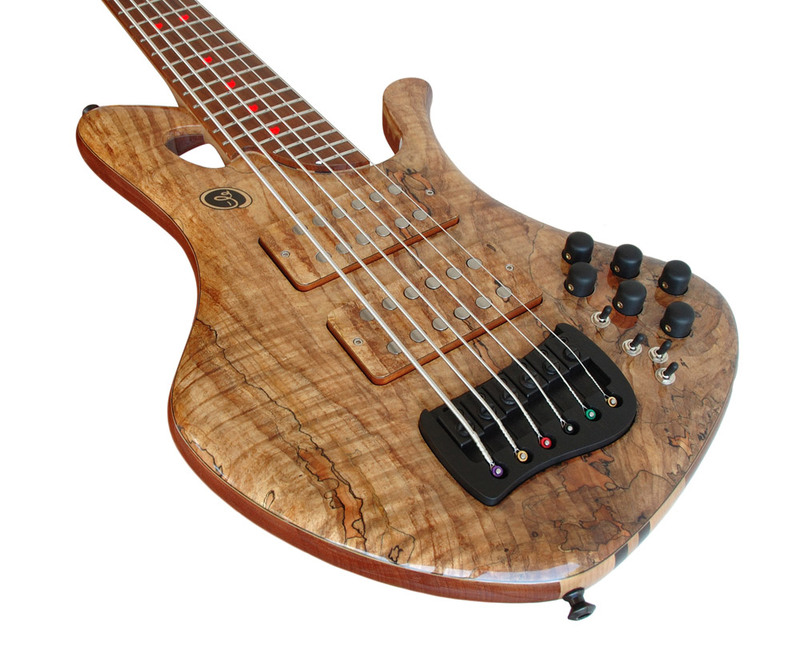 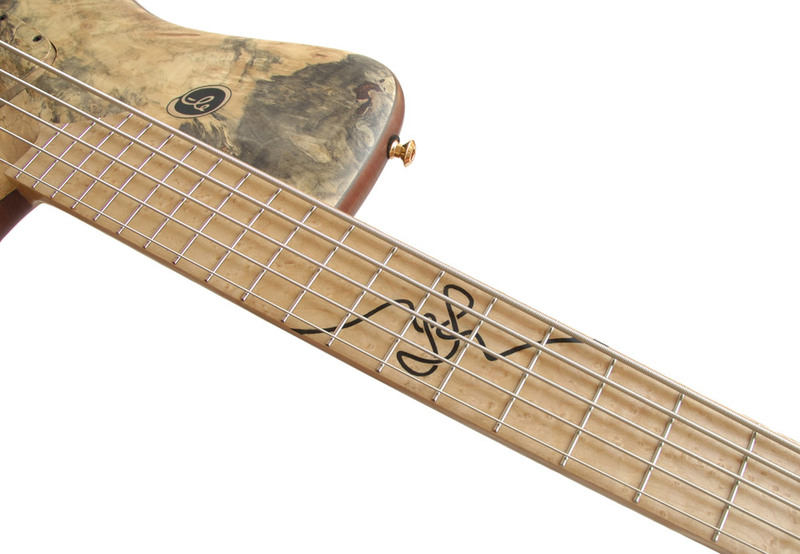 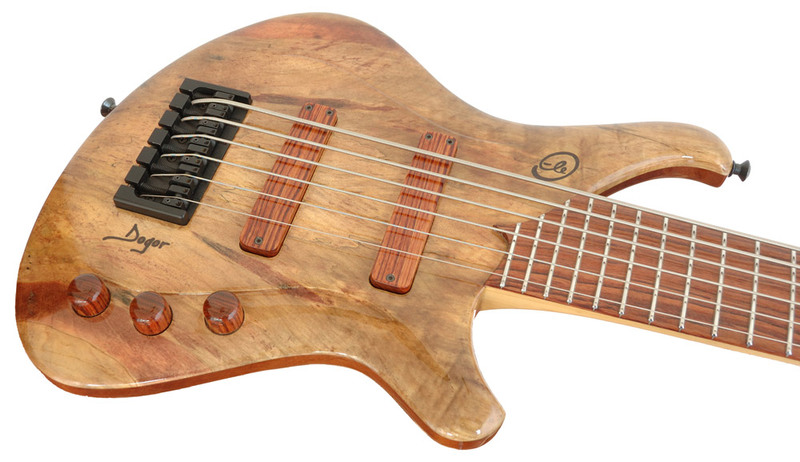 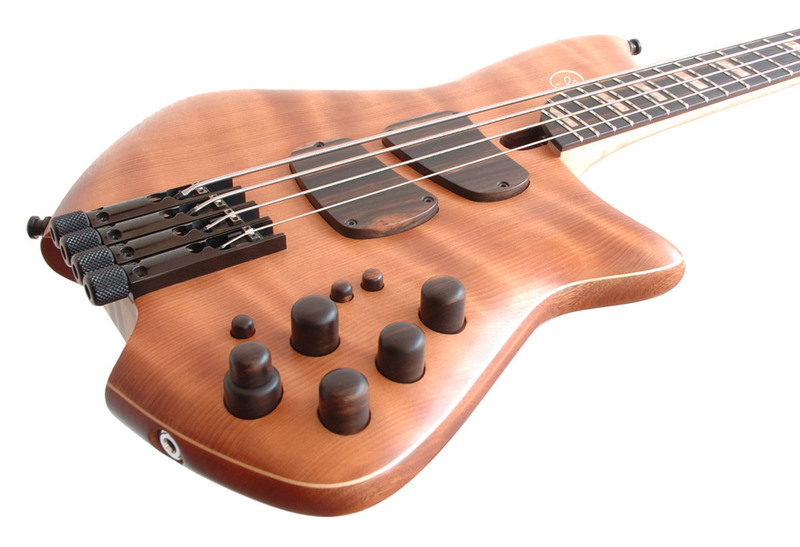 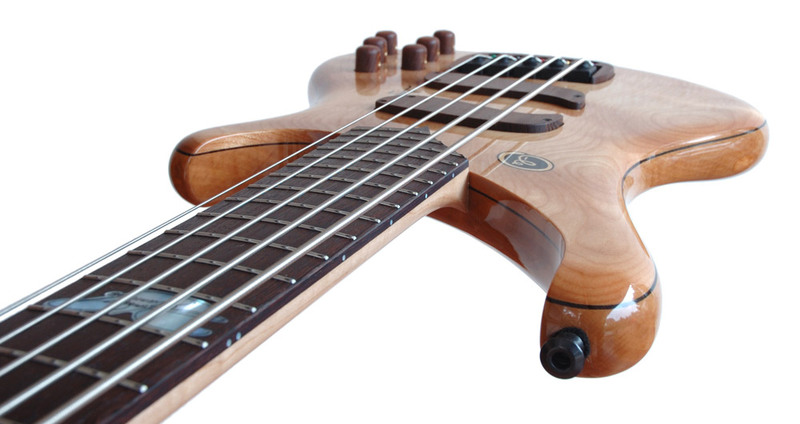 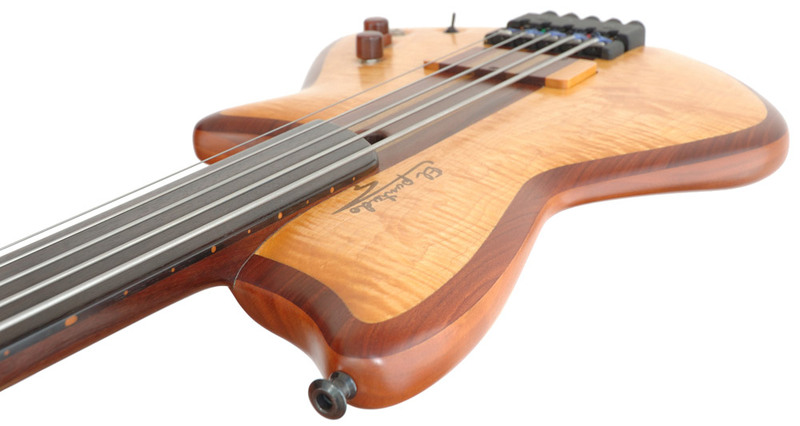 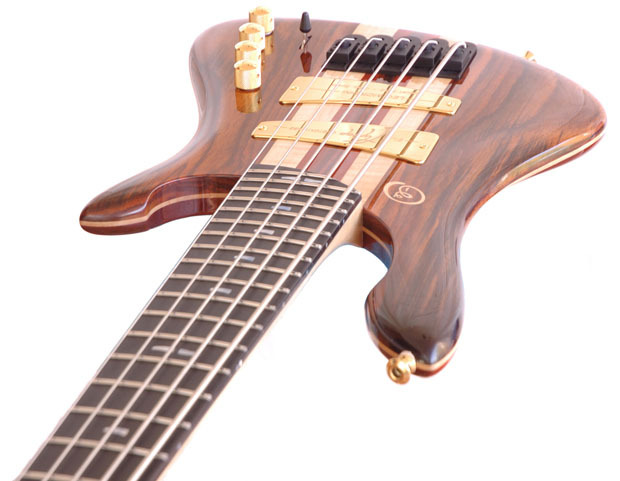 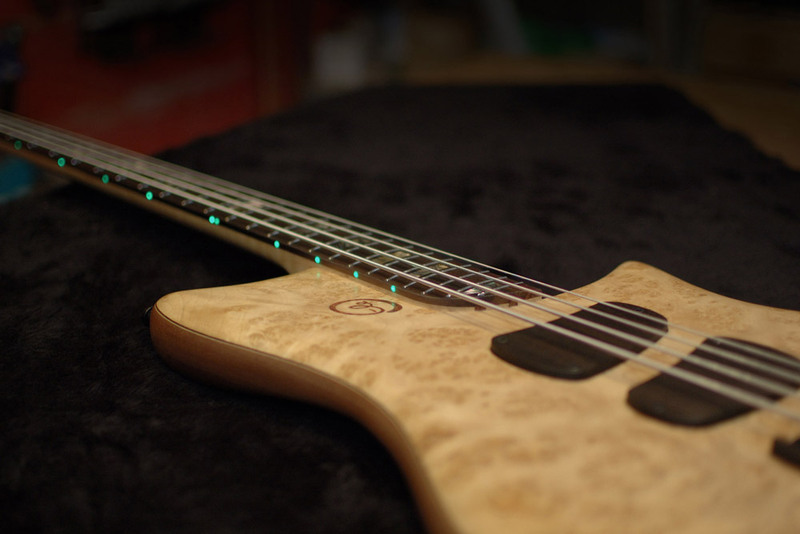 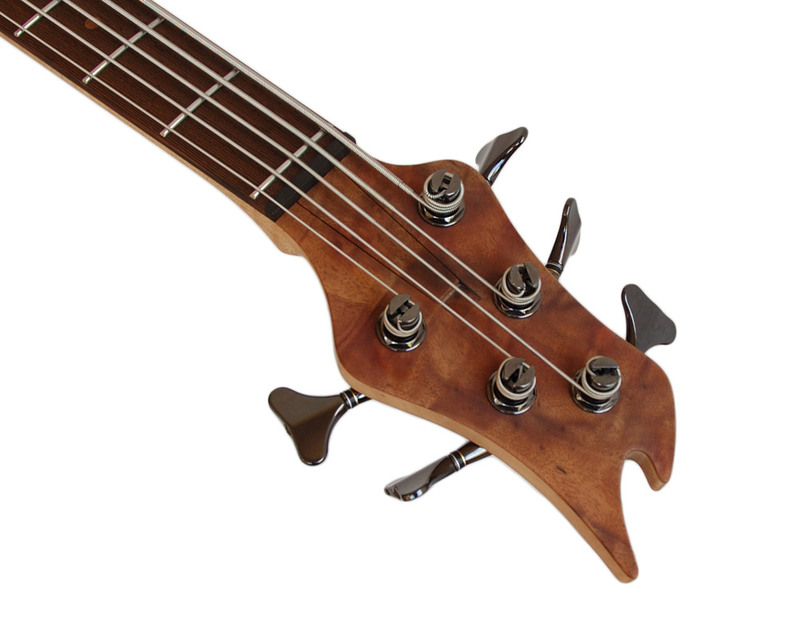 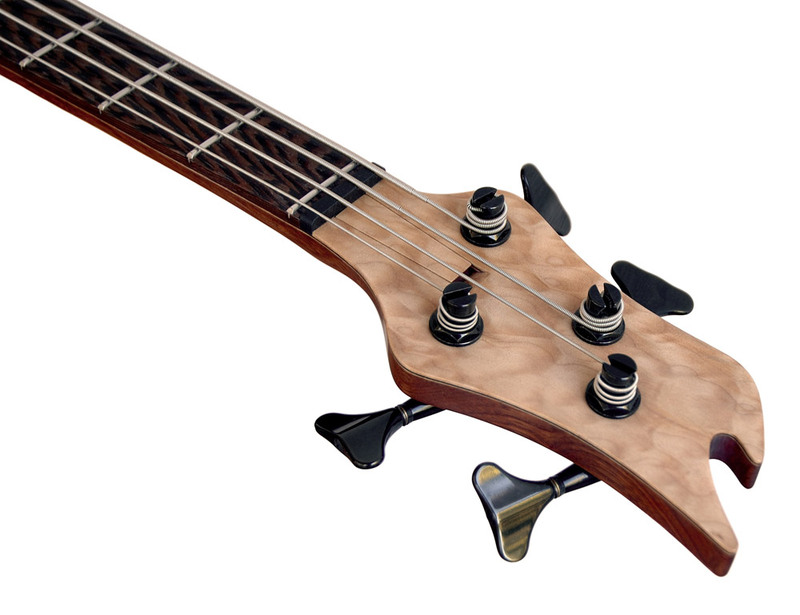 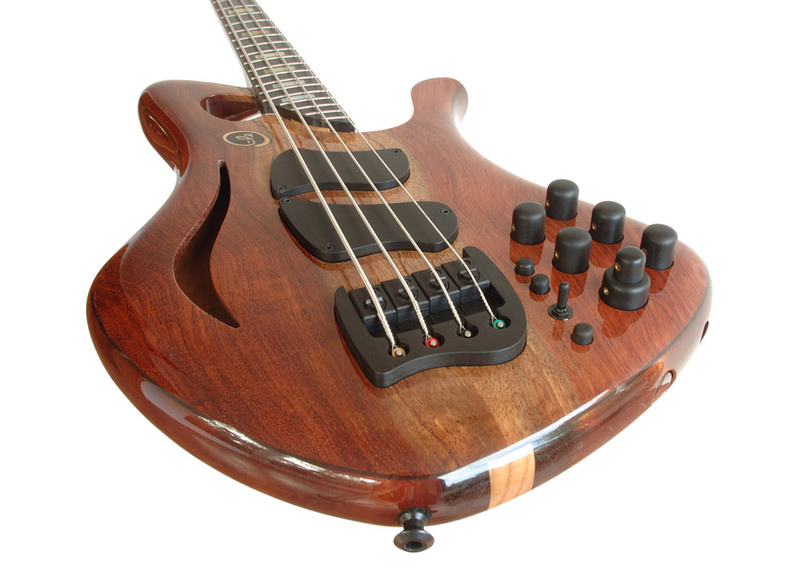 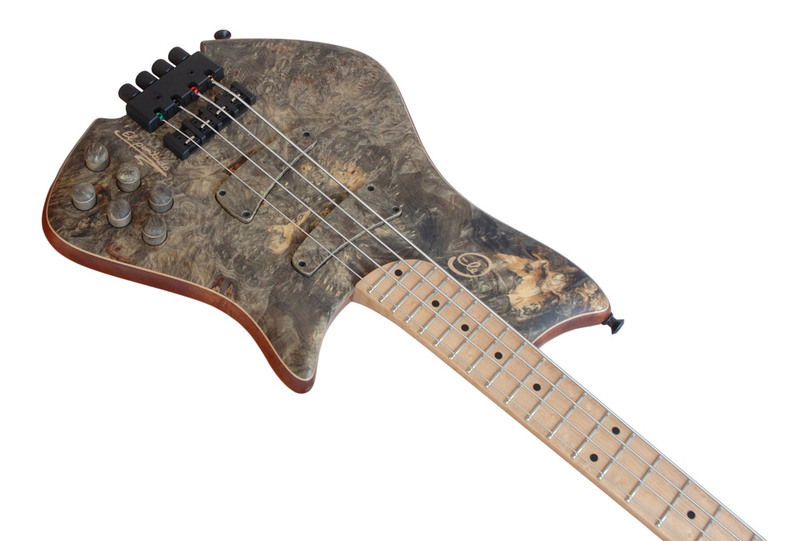 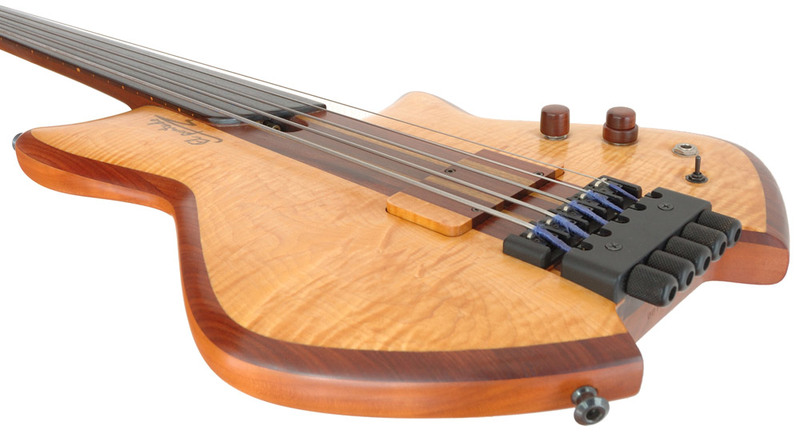 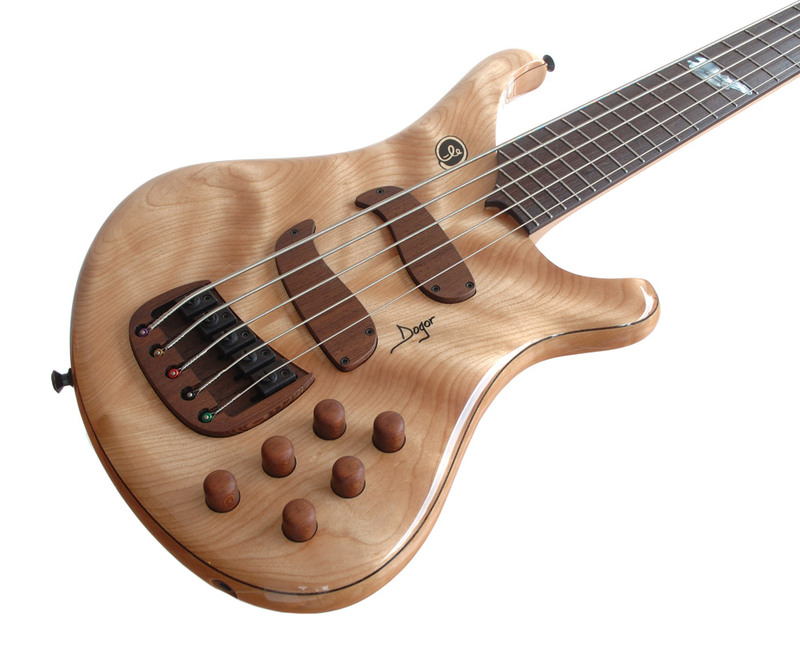 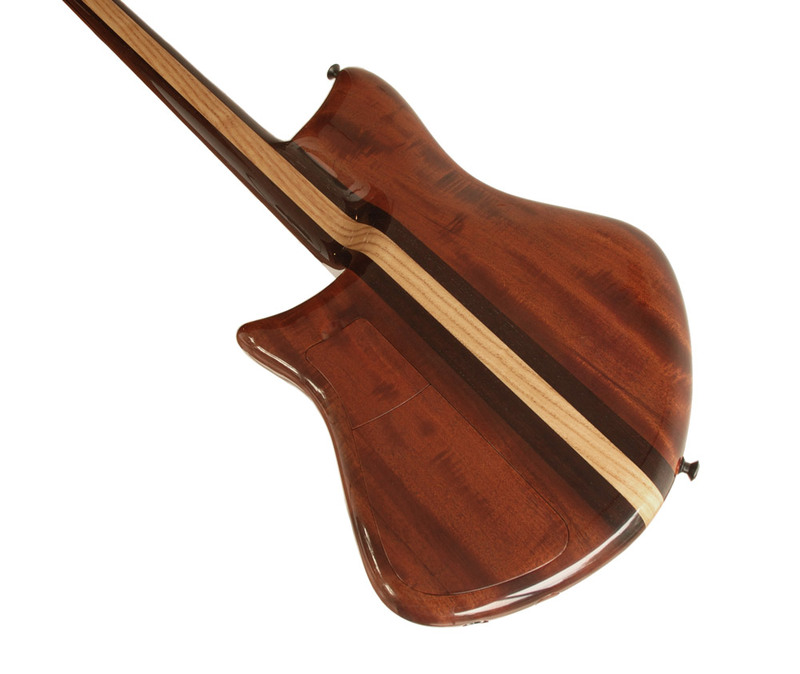 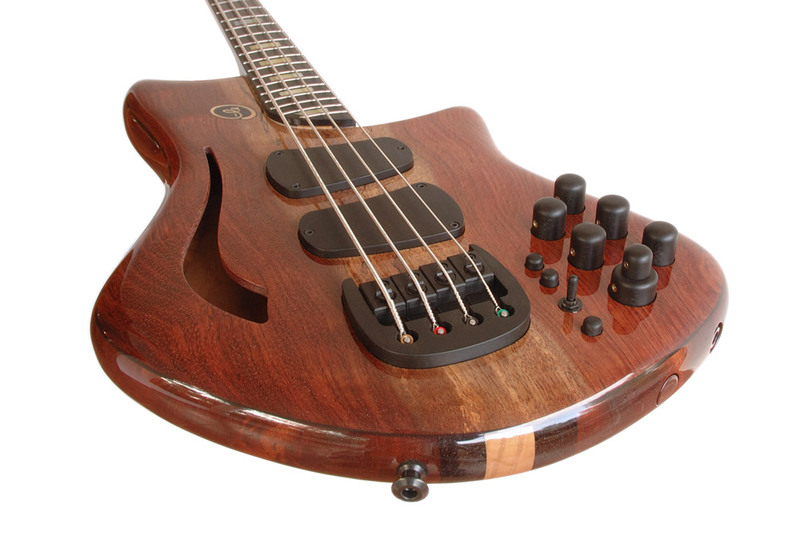 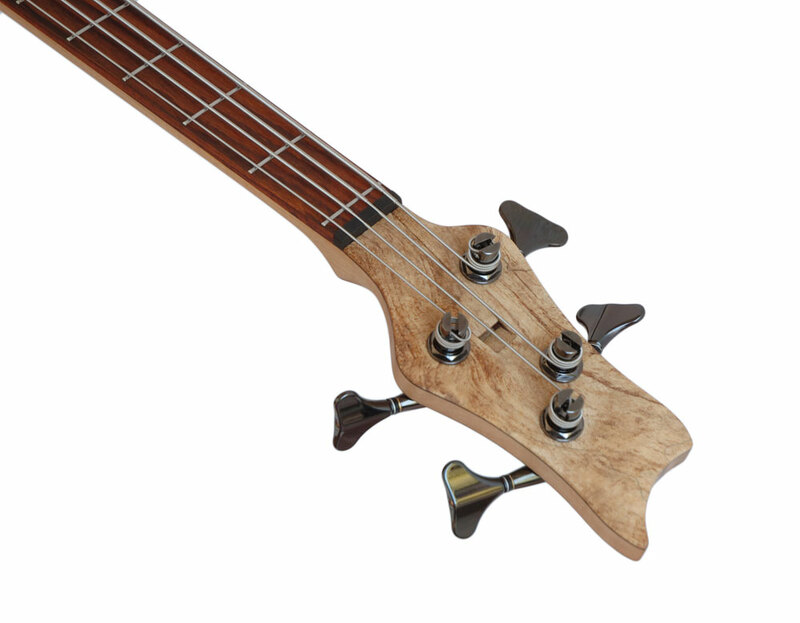 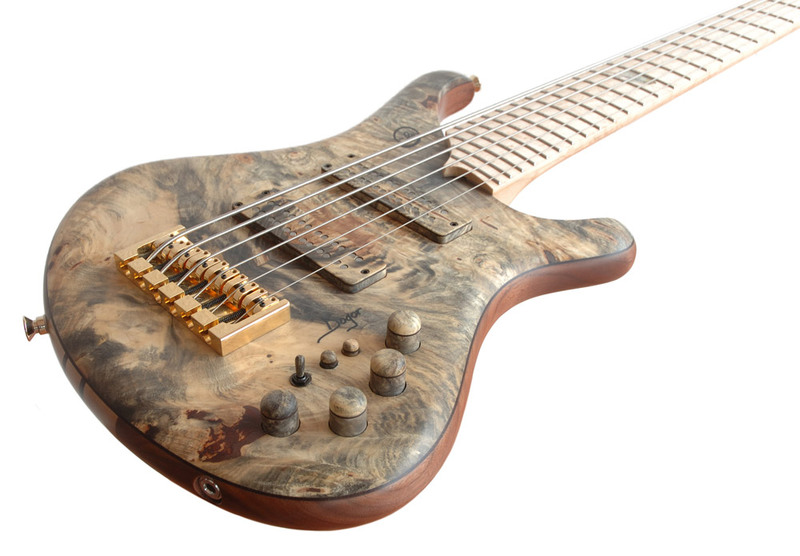 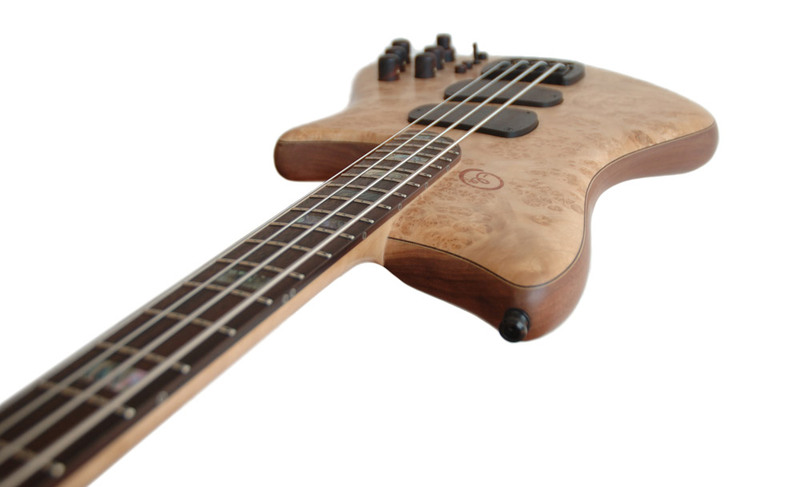 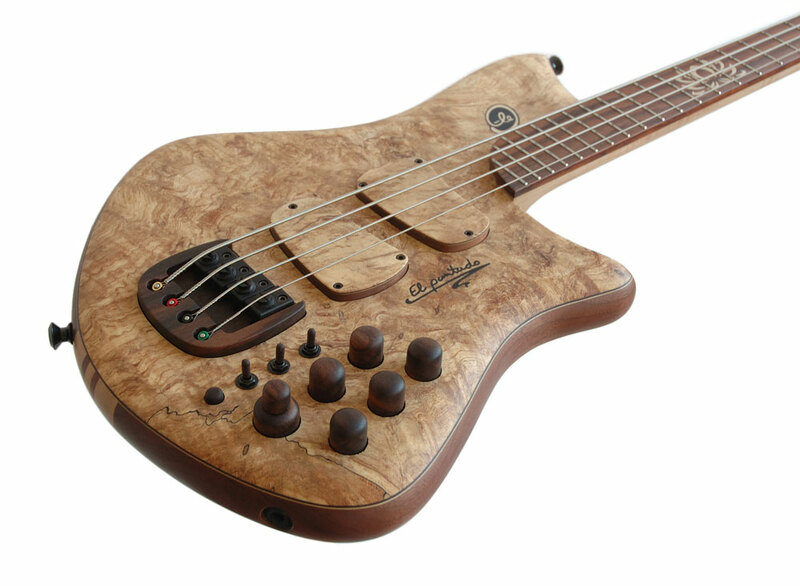 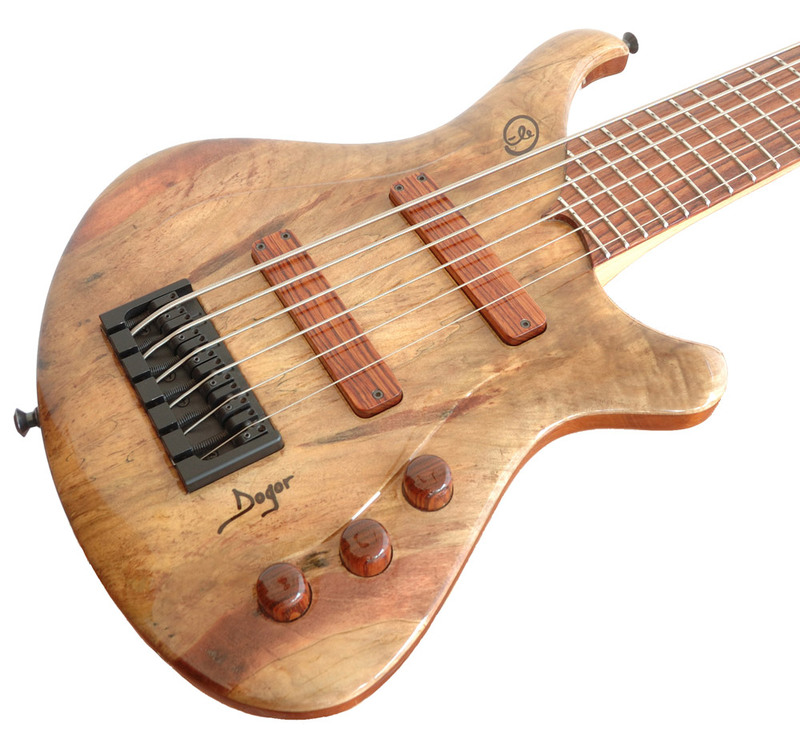 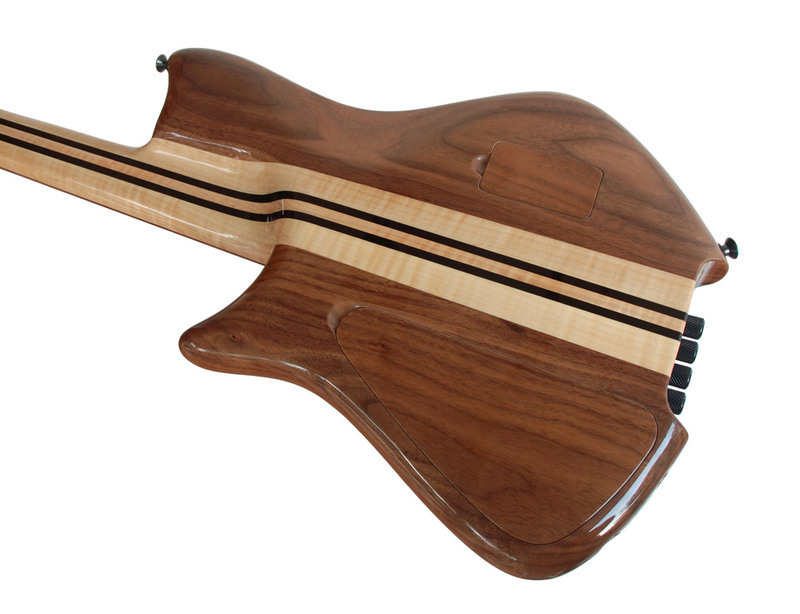 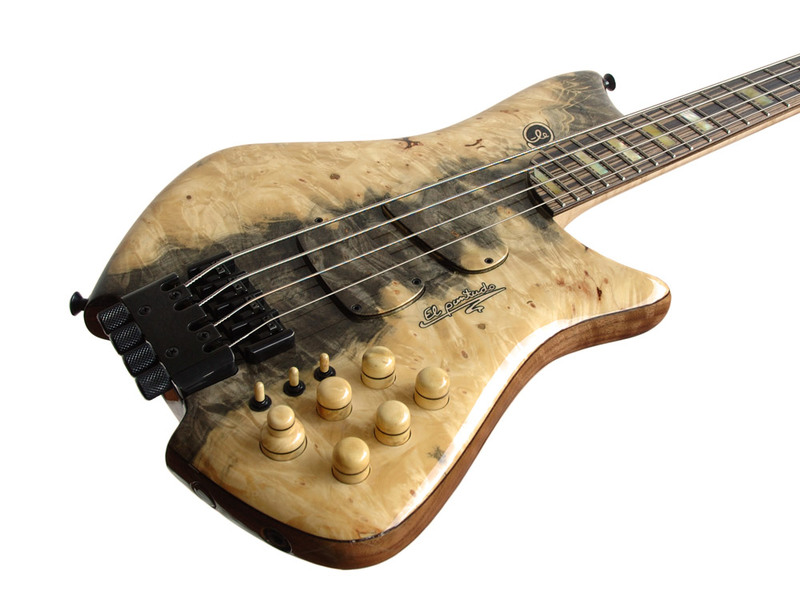 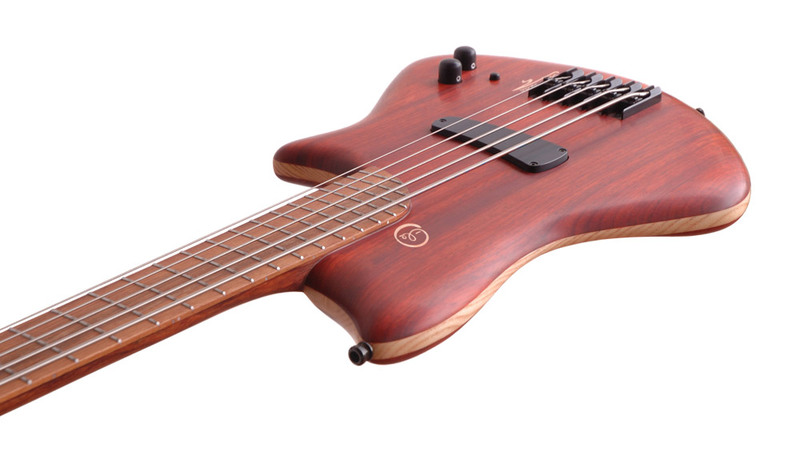 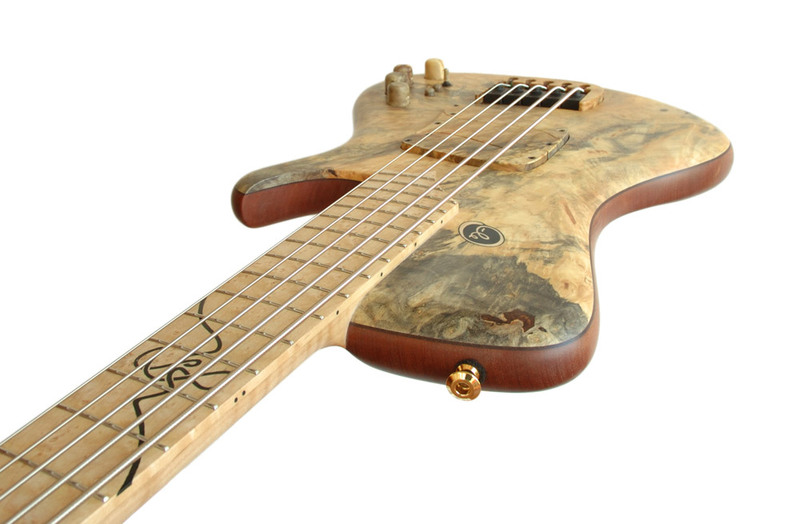 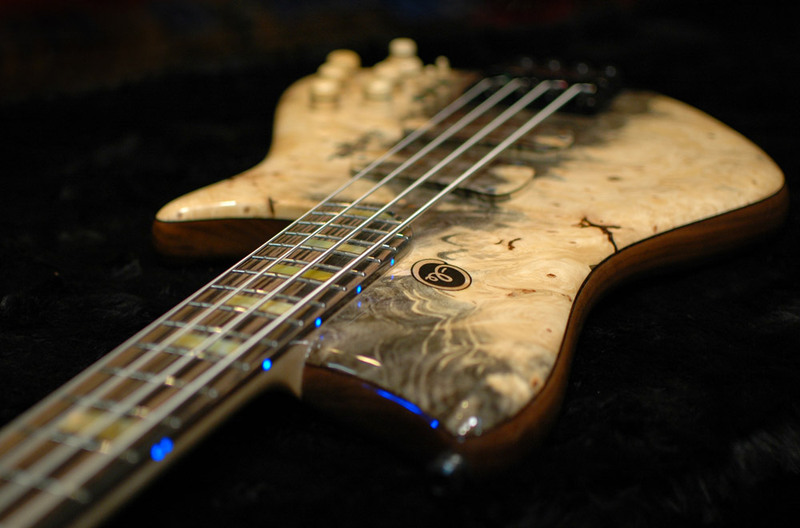 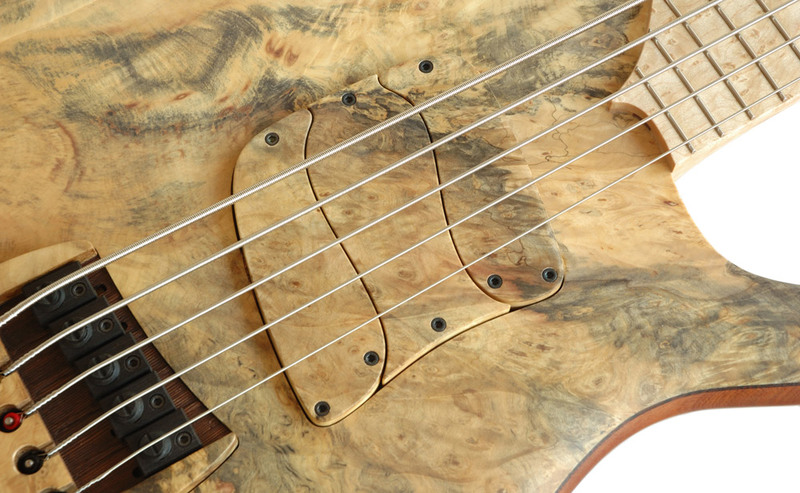 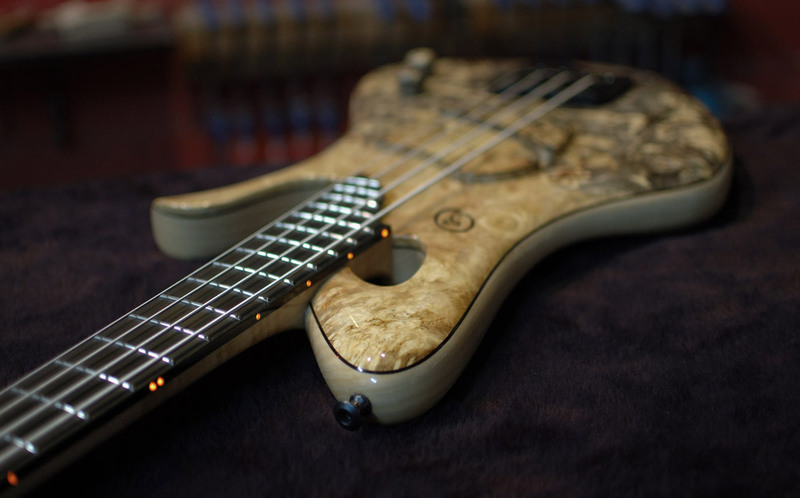 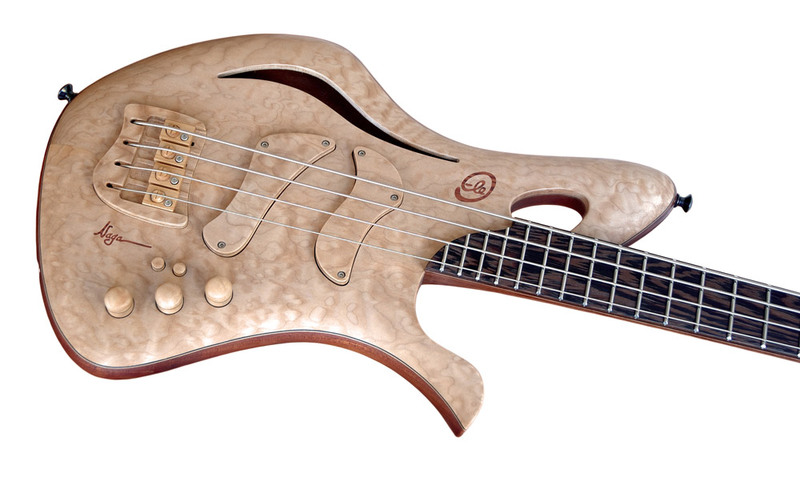 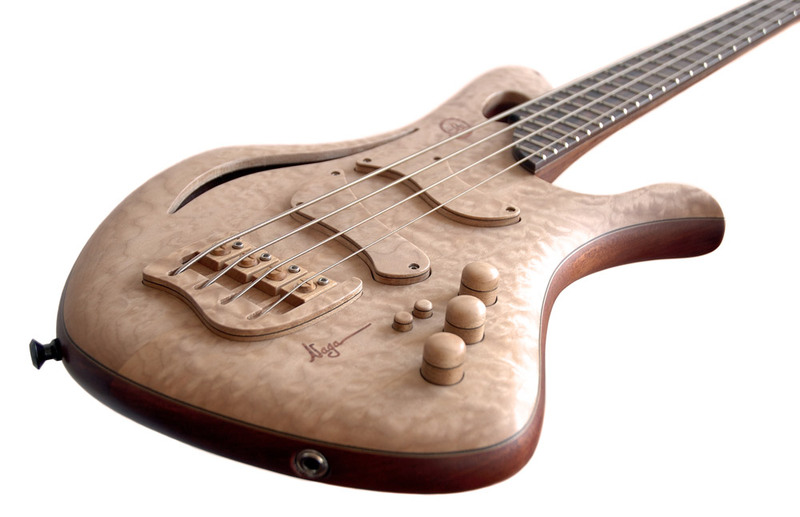 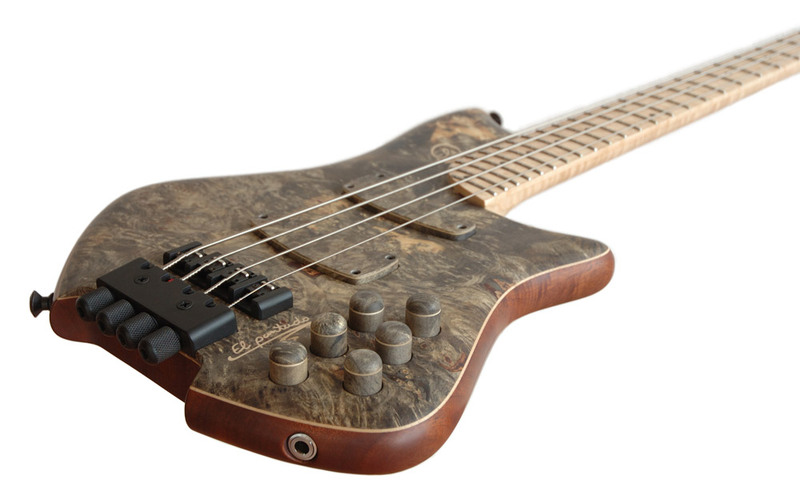 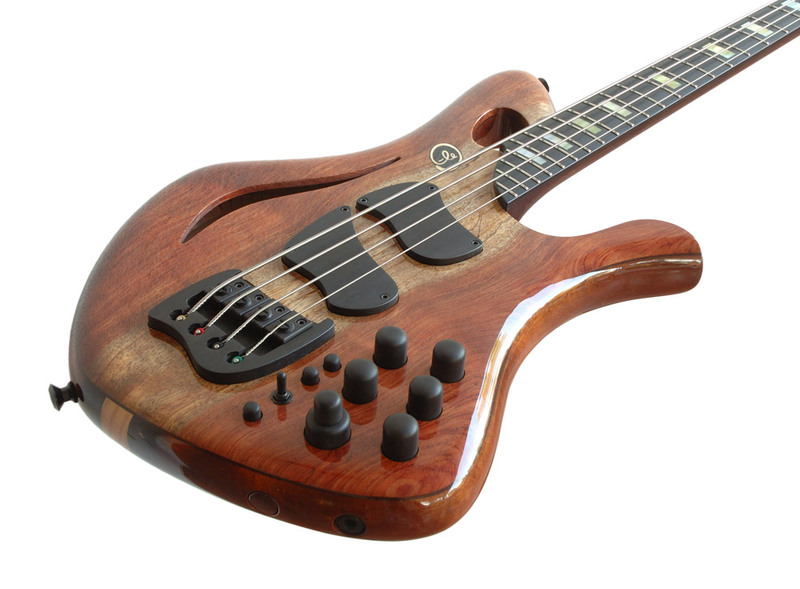 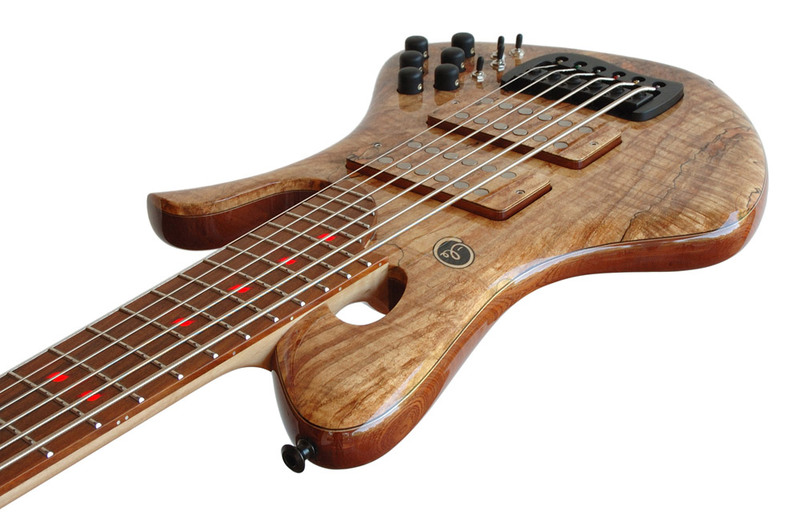 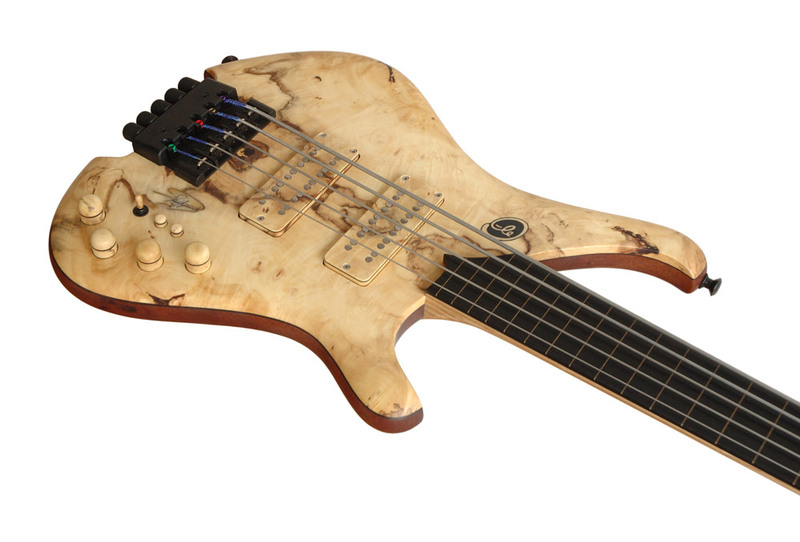 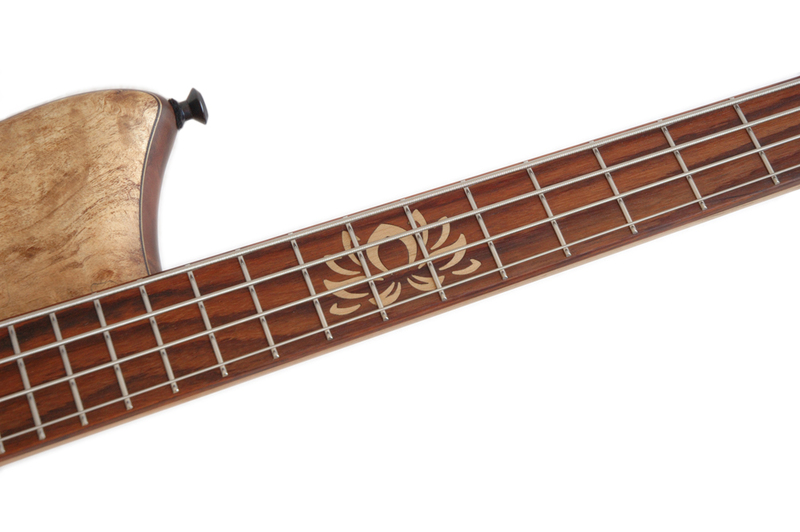 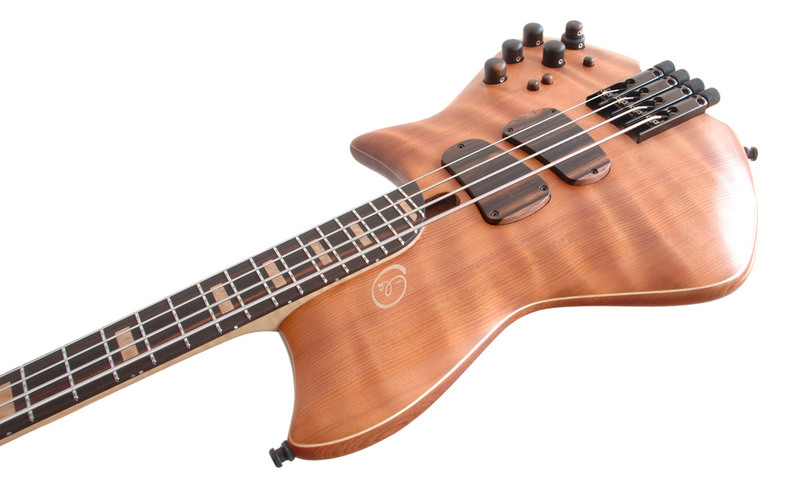 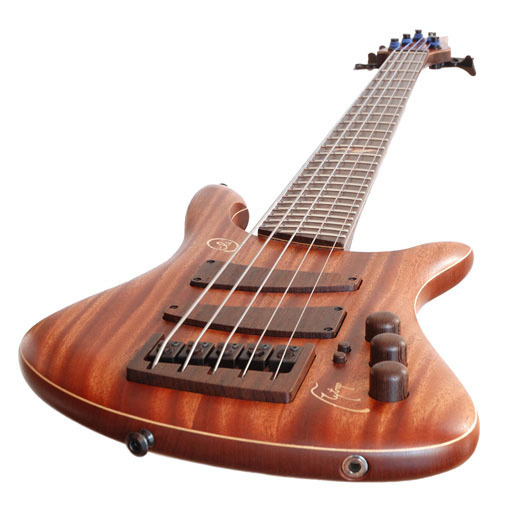 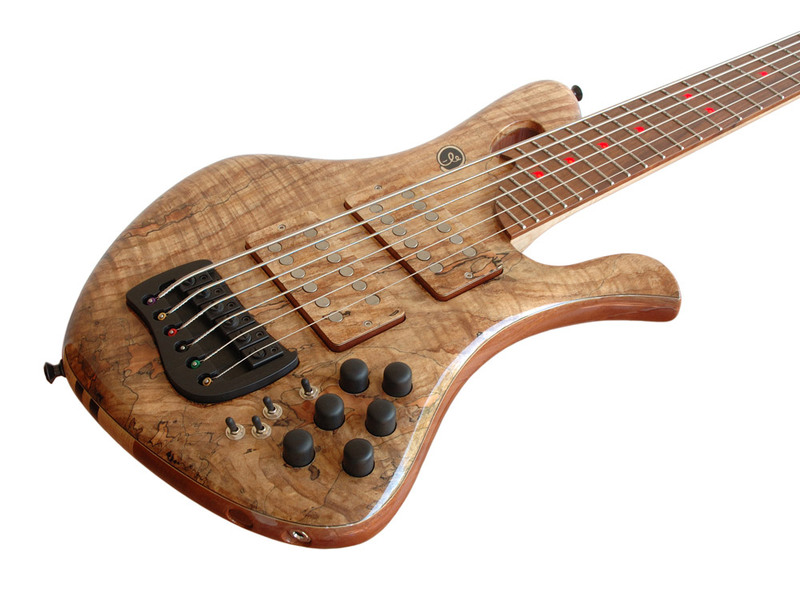 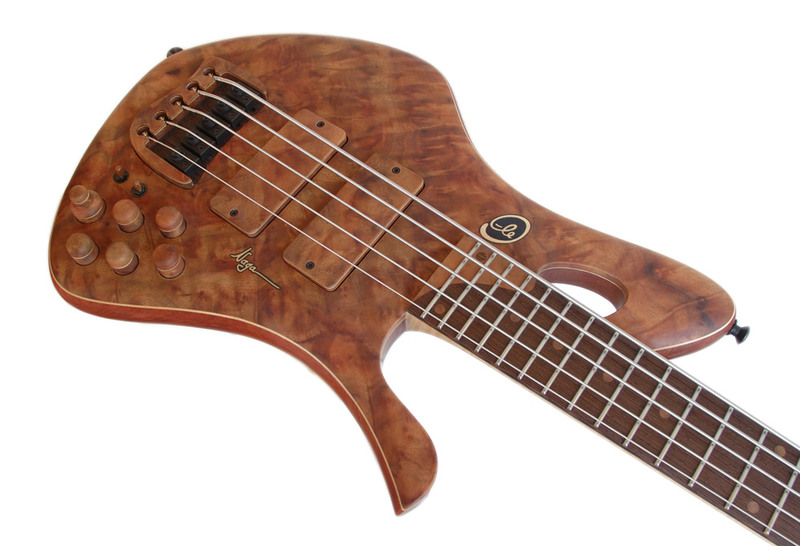 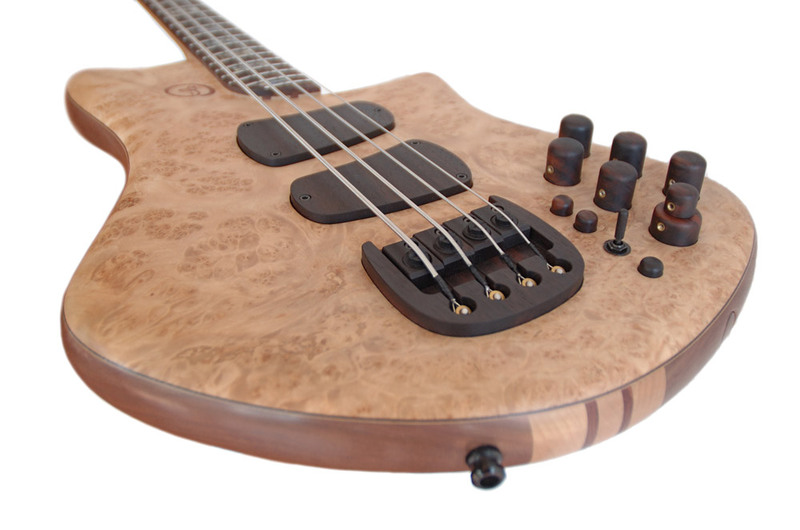 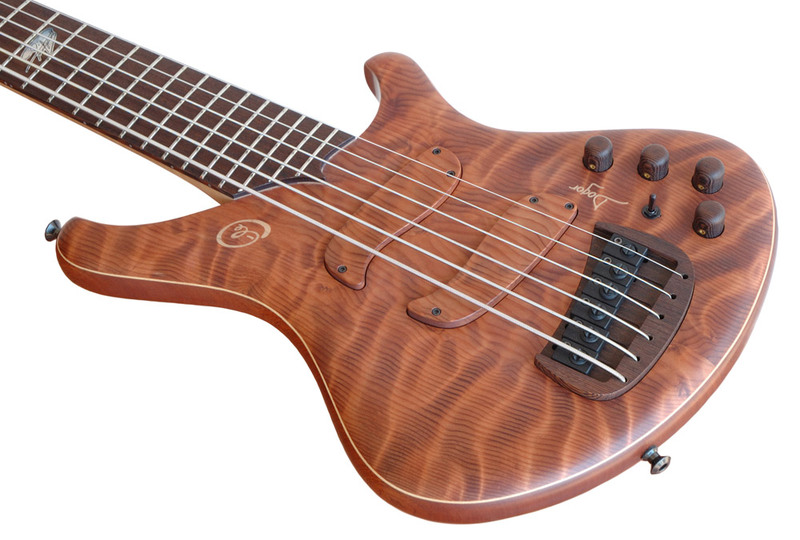 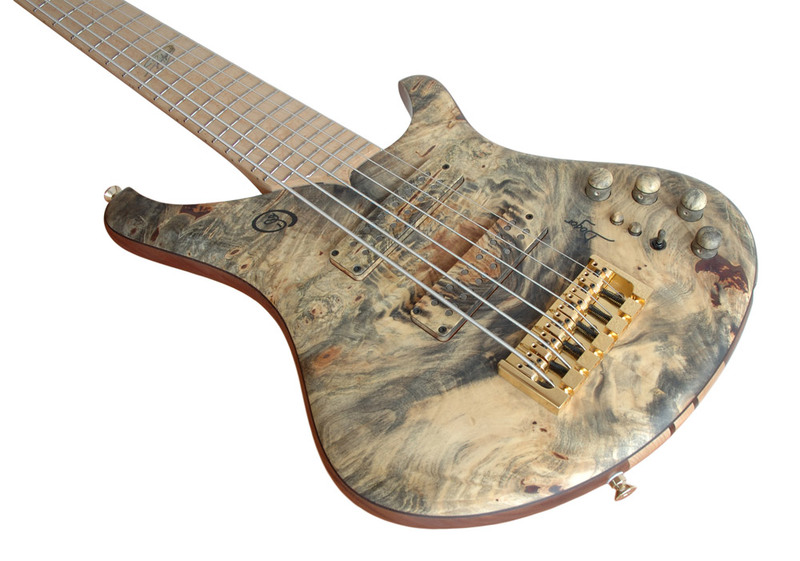 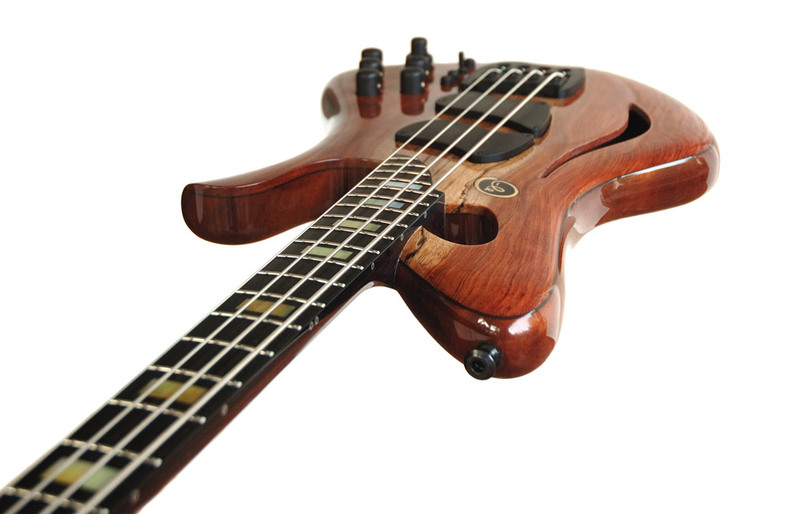 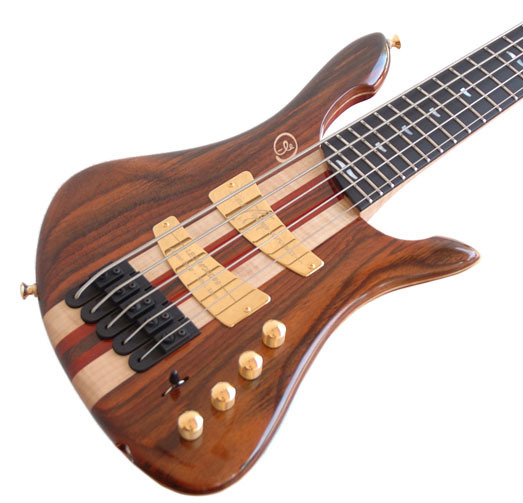 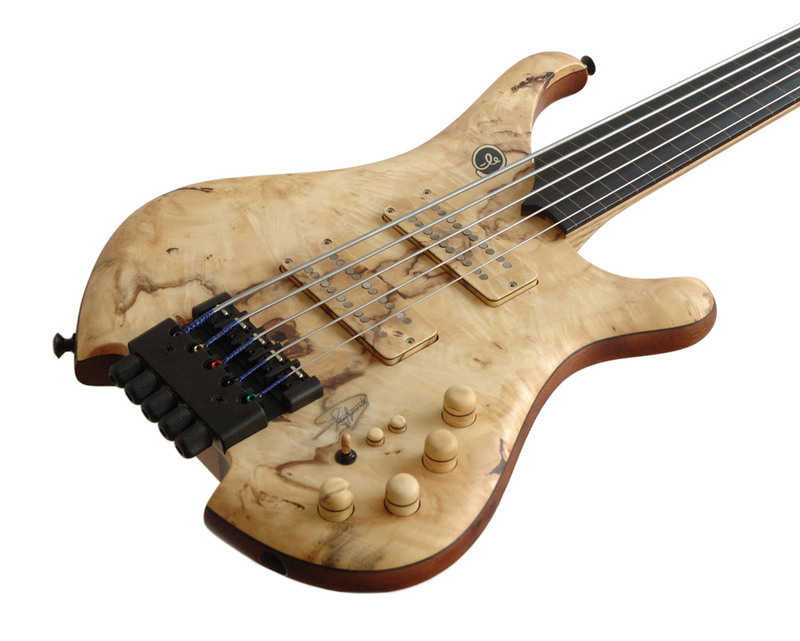 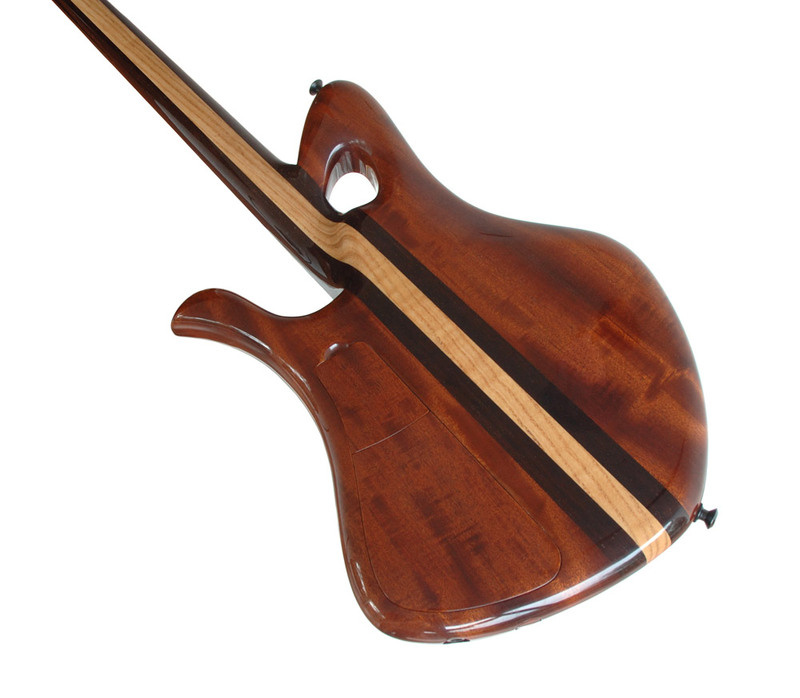 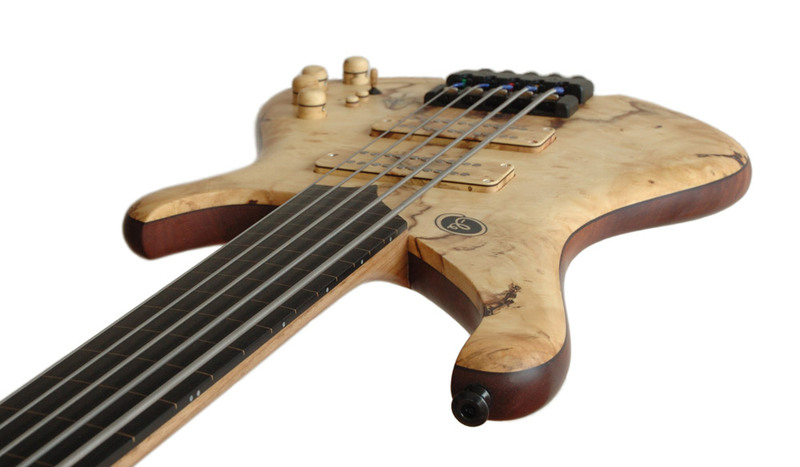 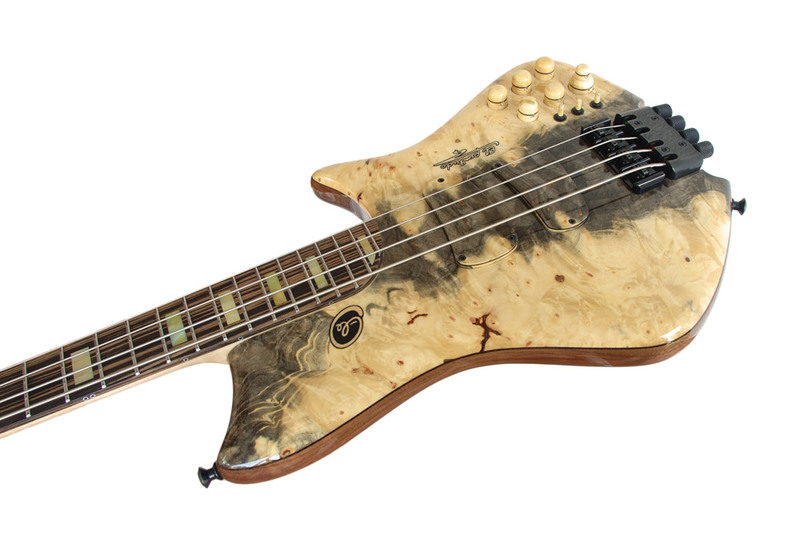 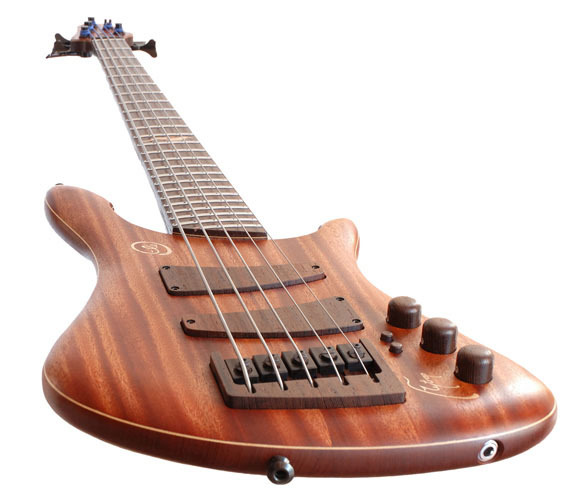 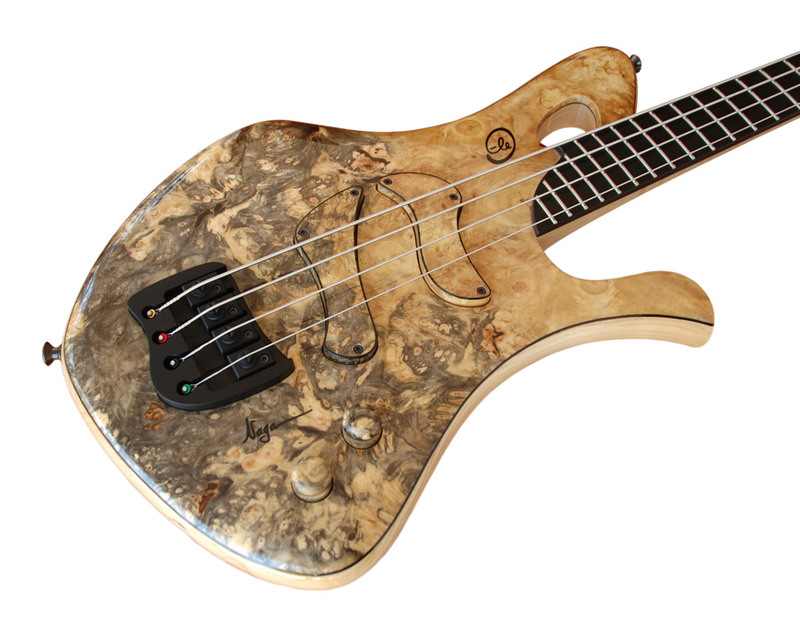 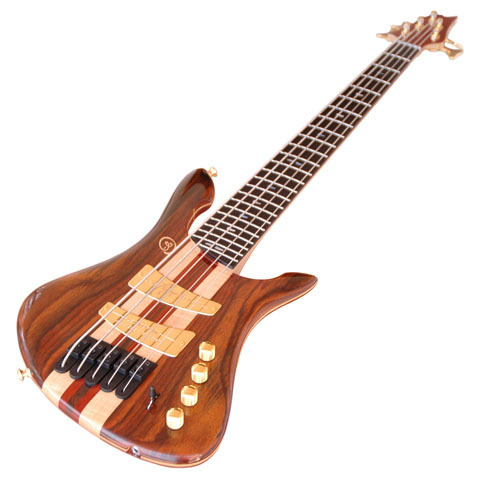 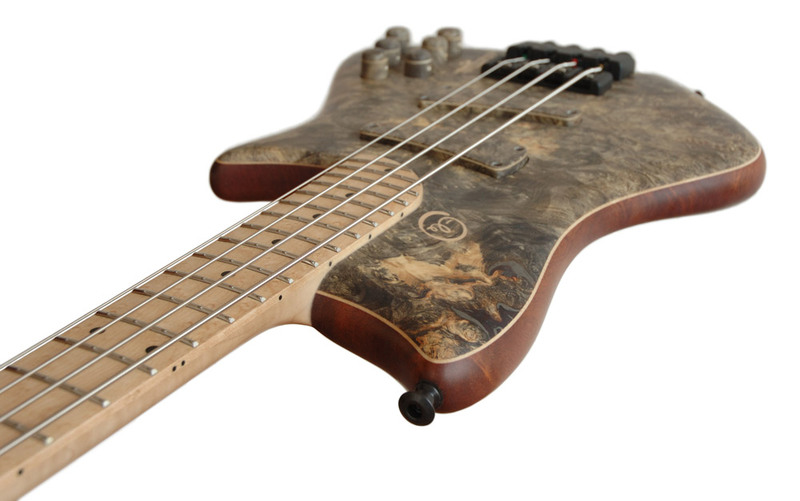 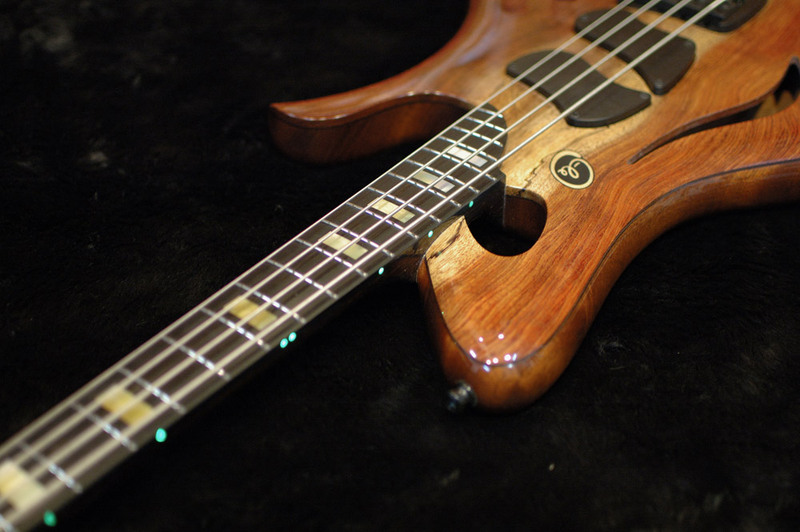 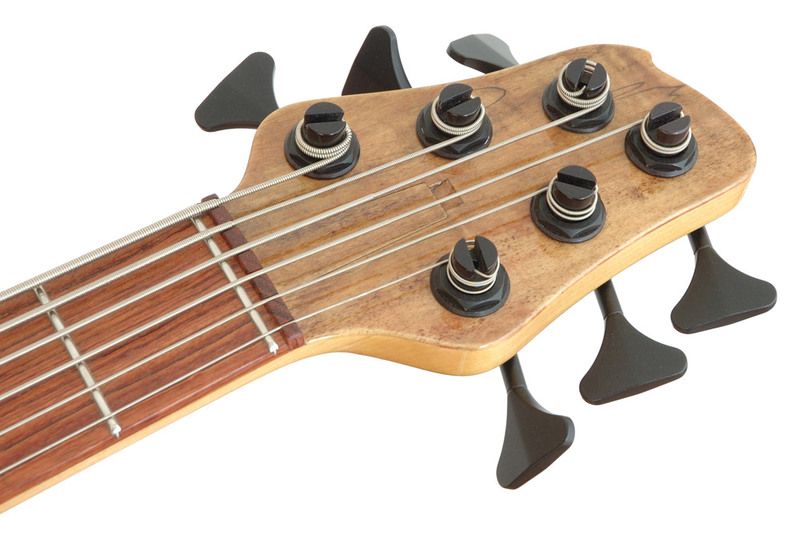 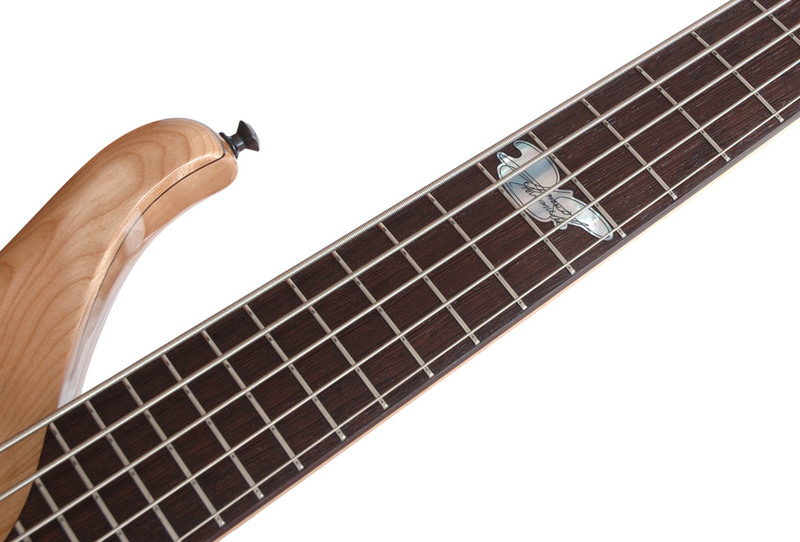 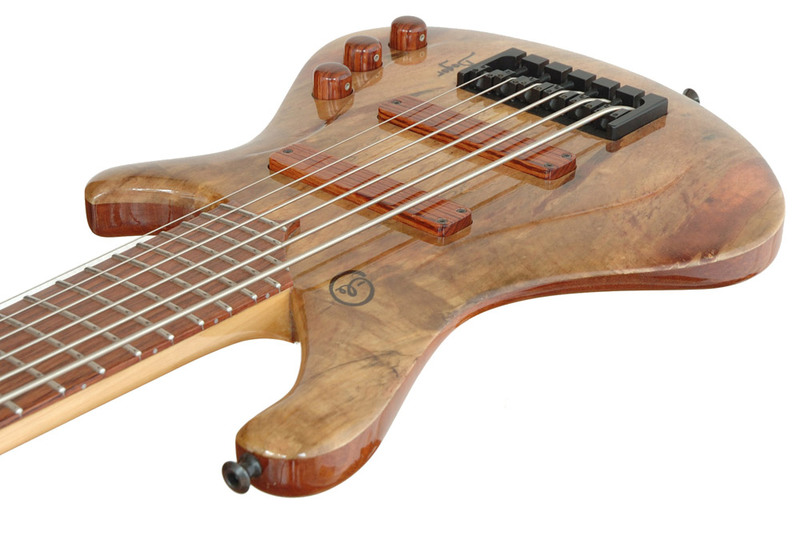 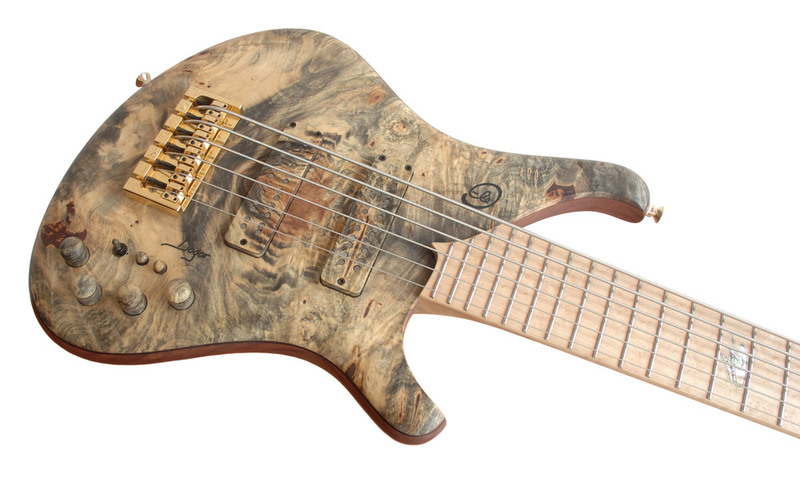 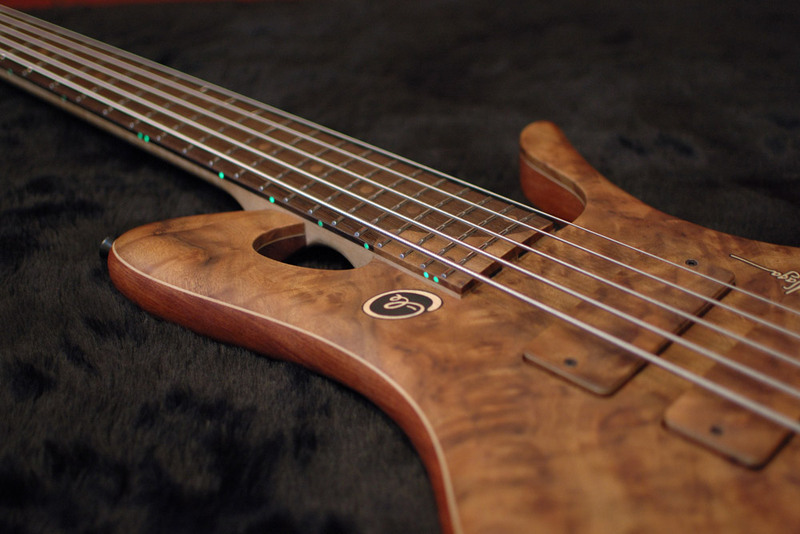 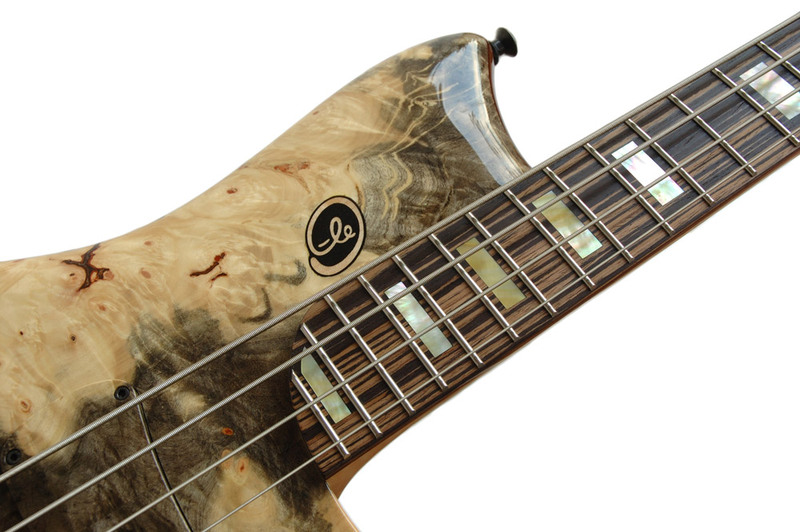 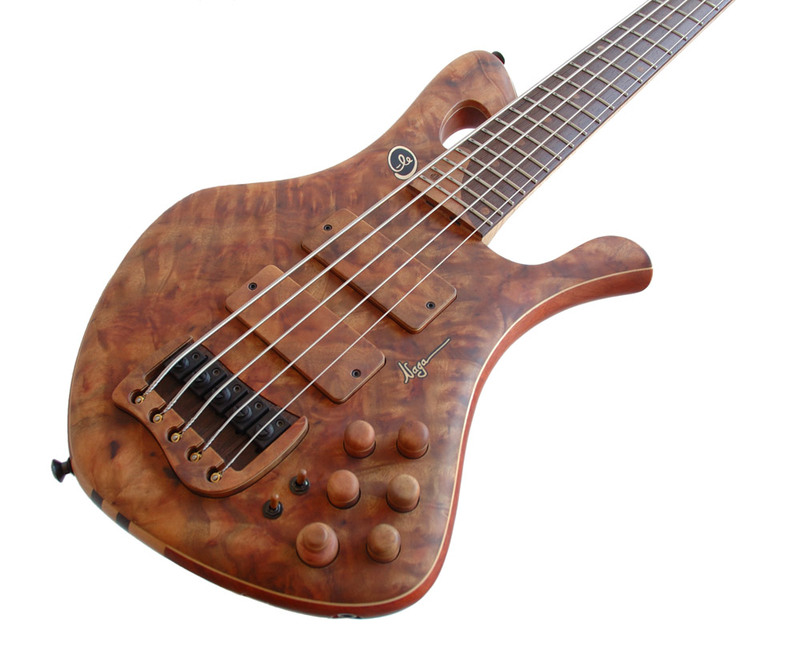 A compact bass with a gorgeous buckeye burl top for FABIO LESSA. 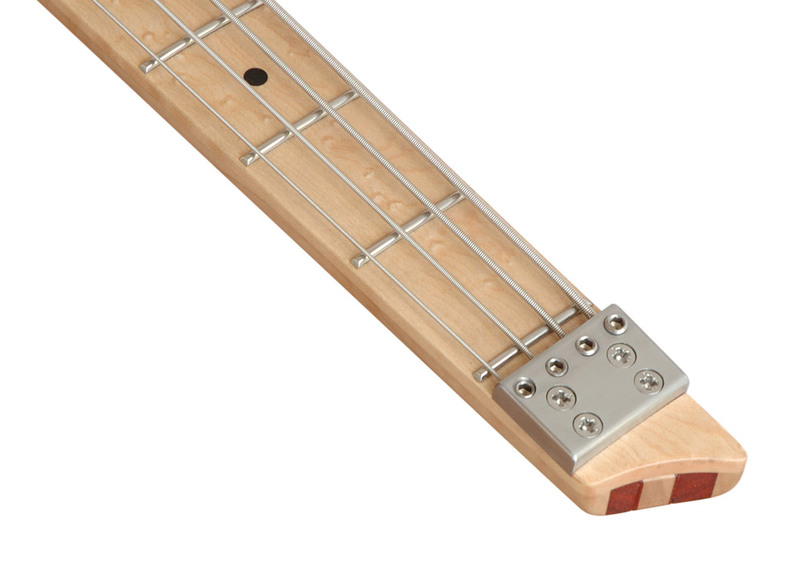 Super easy to play thanks to the super short scale, but with a solid tone. 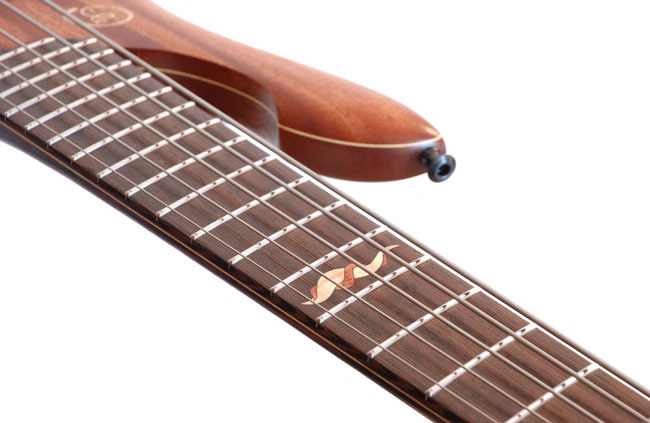 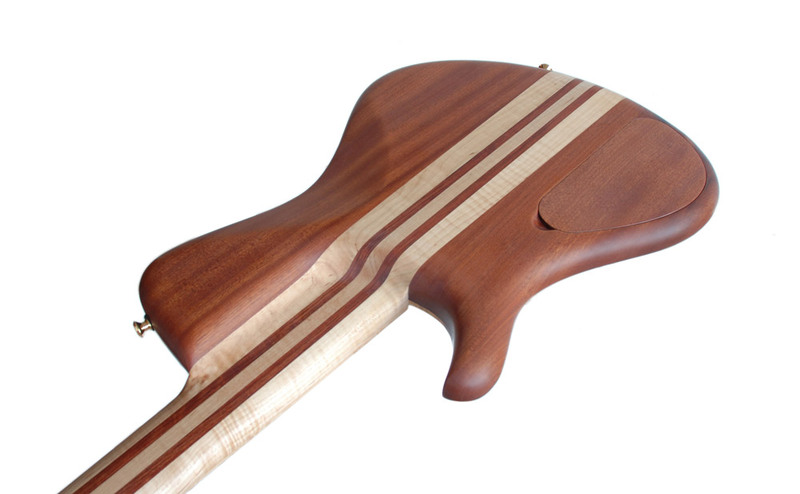 A SINGLE CUT DESIGN INSPIRED BY THE CURVES IN THE BODY OF SOME REPTILES. 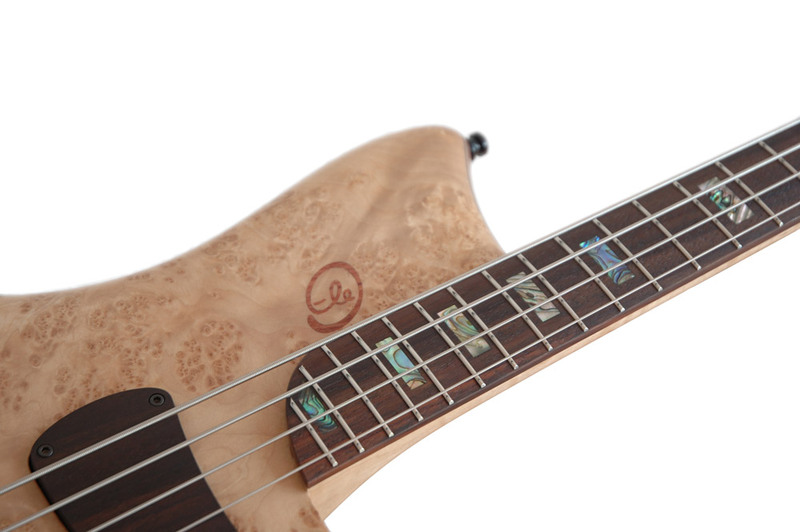 I NAMED IT AFTER THE NAGAS, SERPENT CREATURES FOUND IN HINDU MYTHOLOGY. 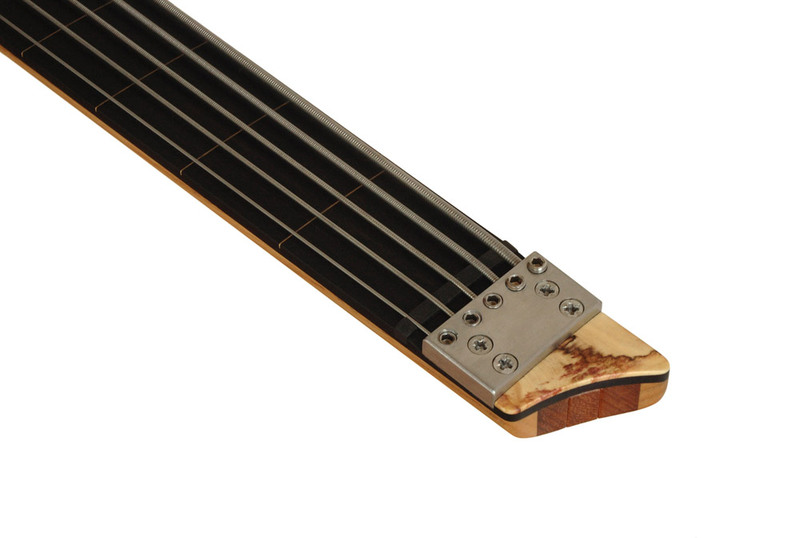 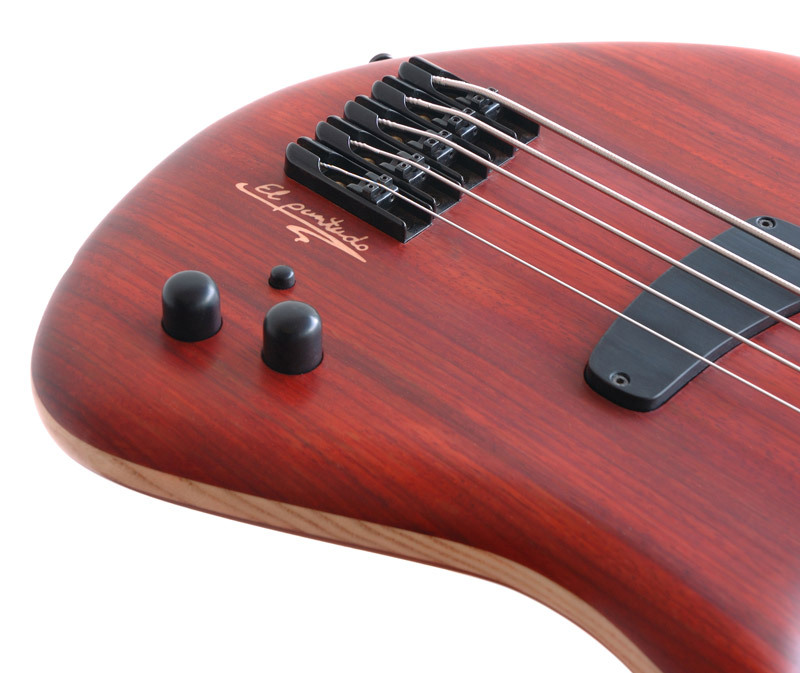 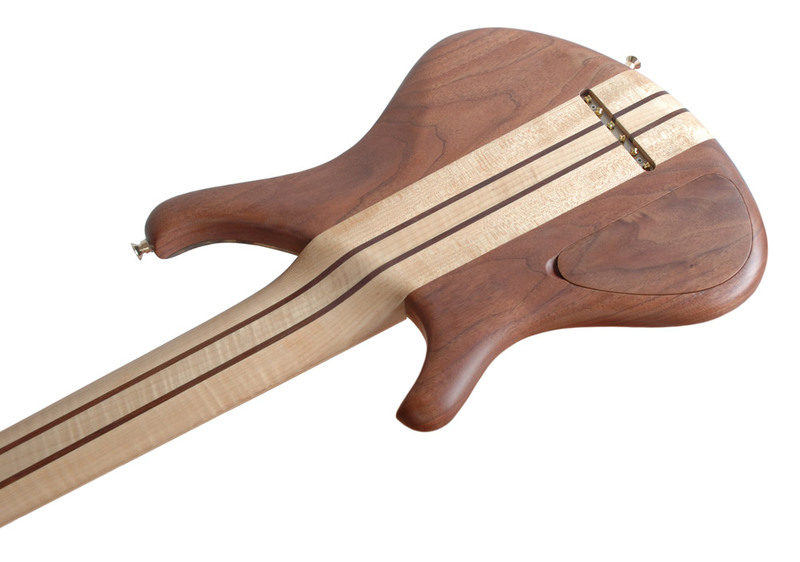 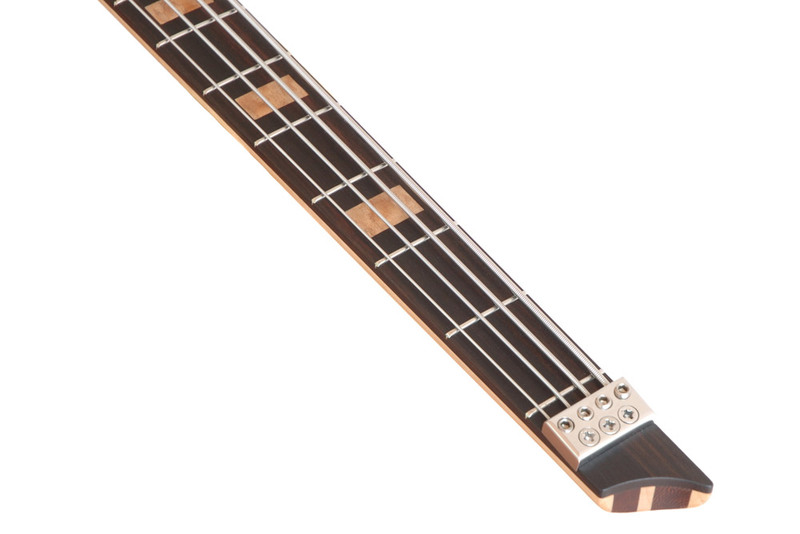 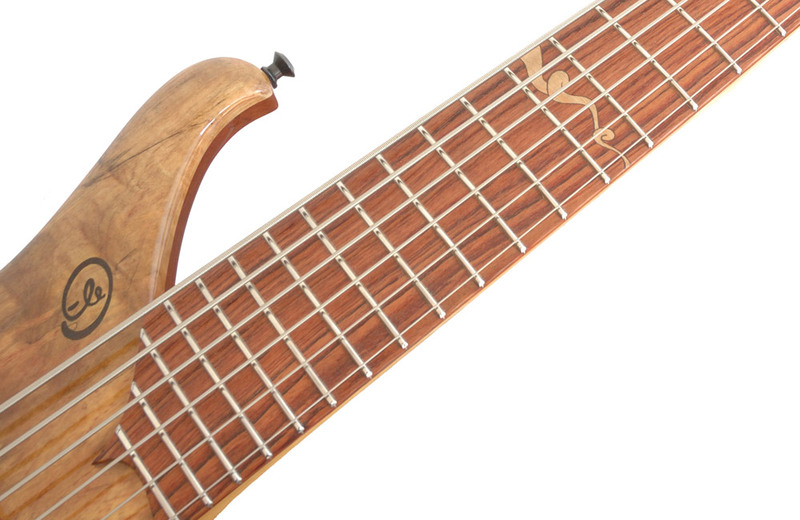 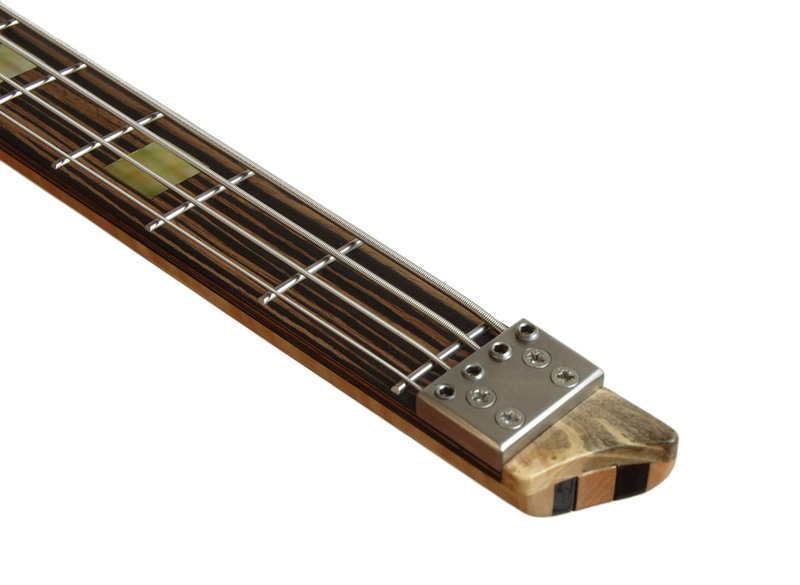 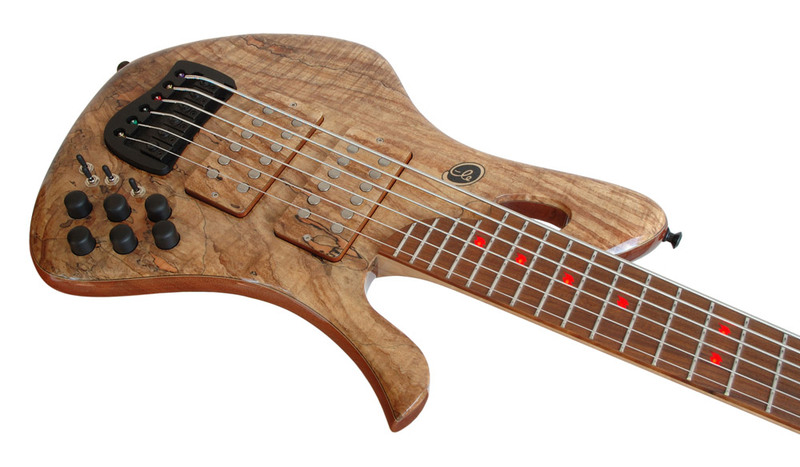 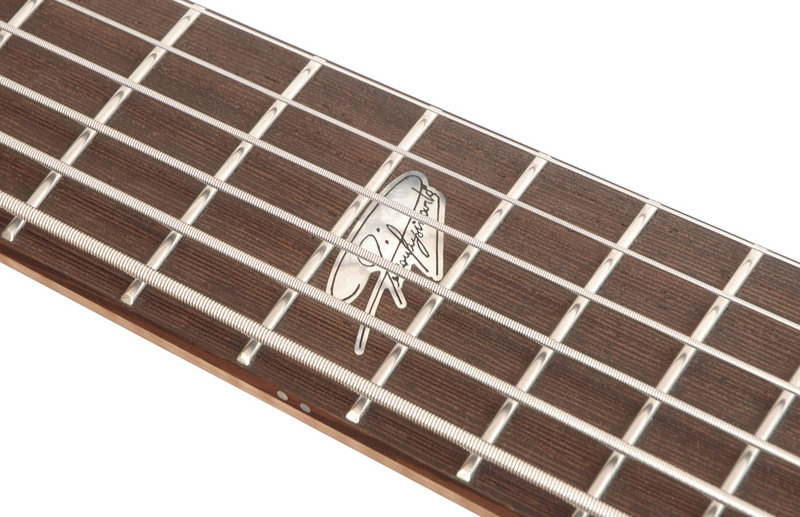 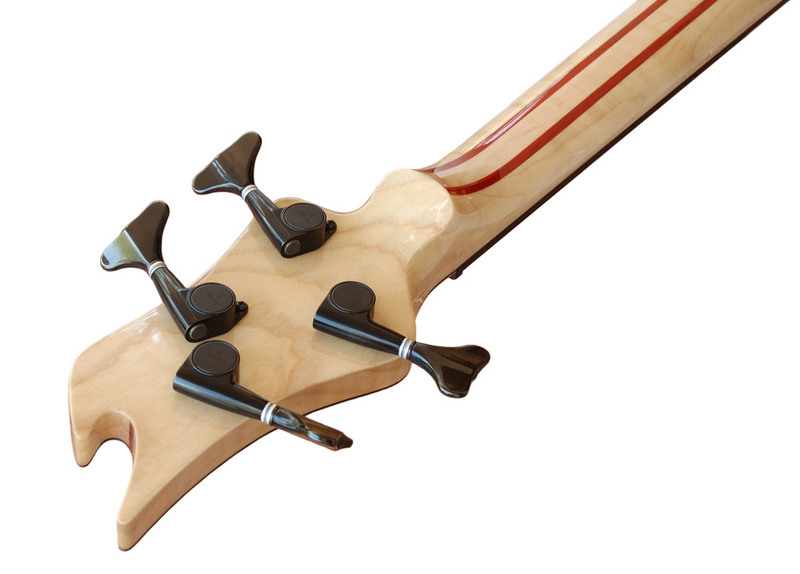 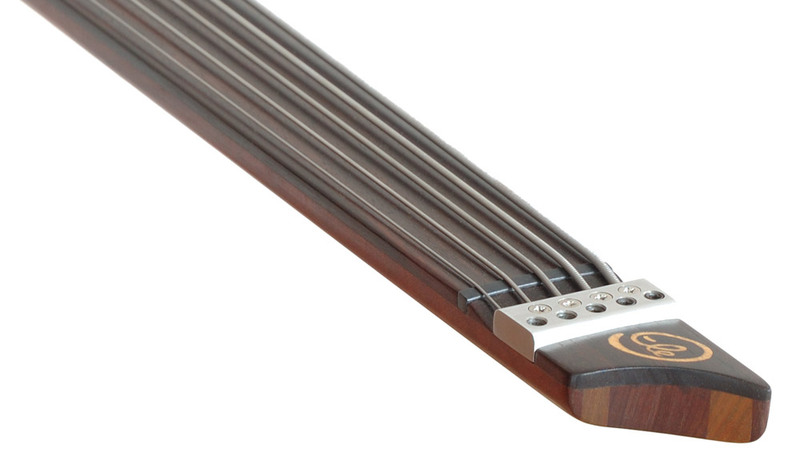 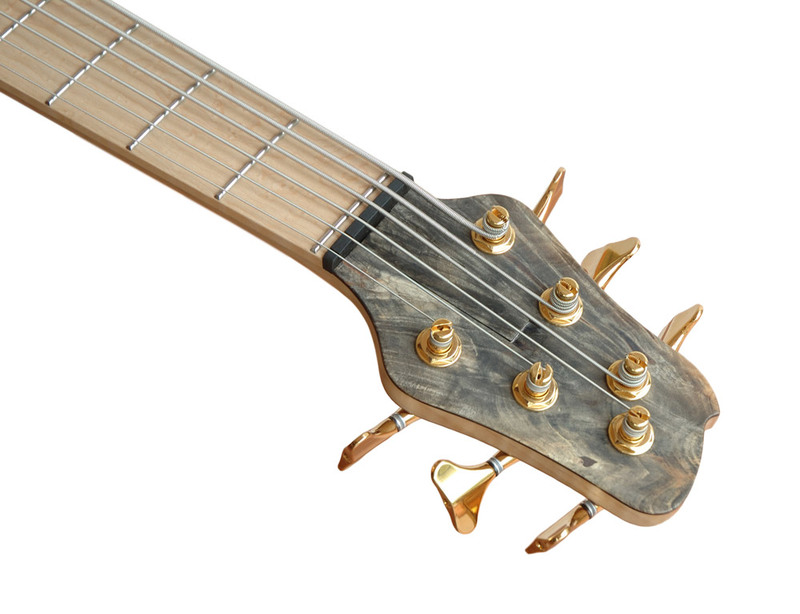 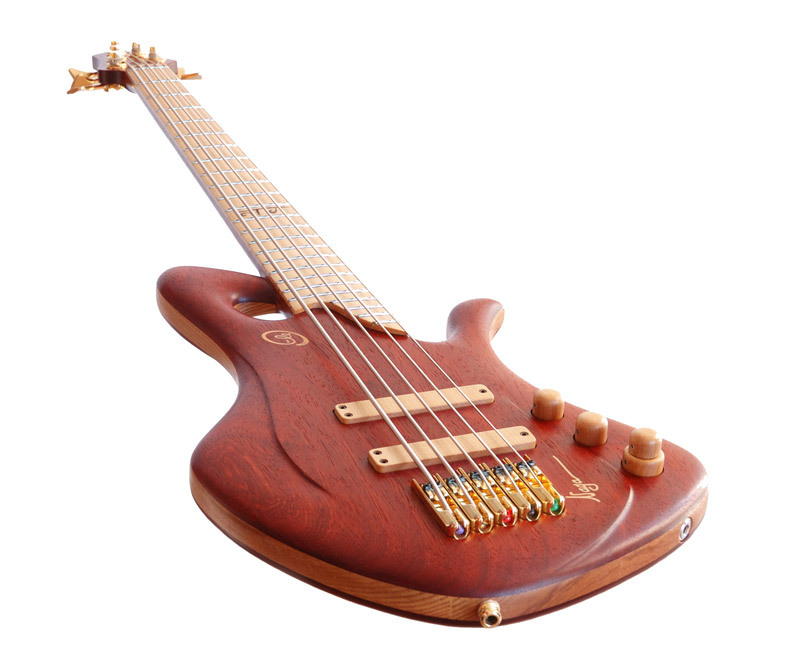 "HEAVY METAL LOOKING" BASS GUITAR. 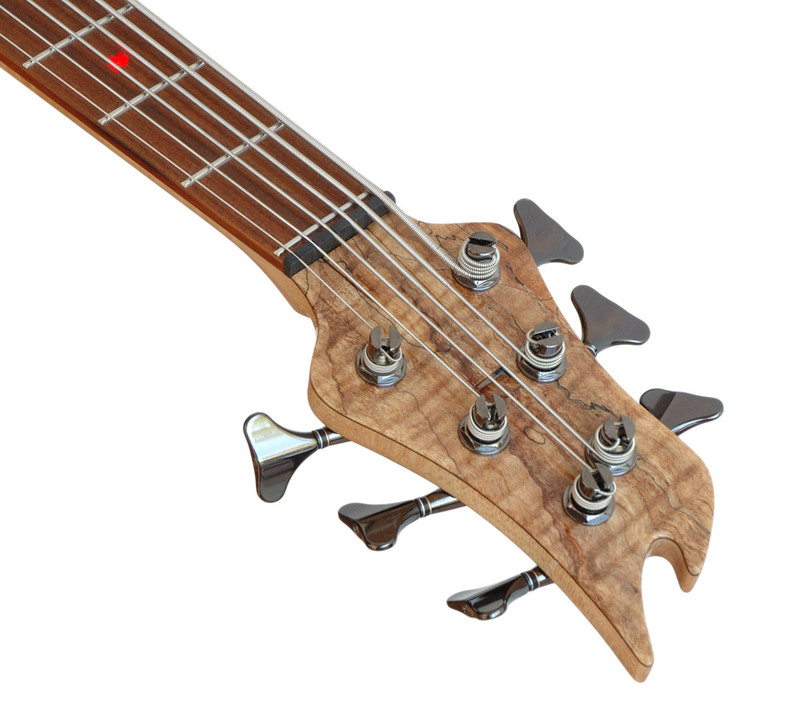 ITS SHARP PARTS REMINDED ME OF THE INSECT EATING PLANT KNOWN AS VENUS FLYTRAP, DIONAEA MUSCIPULA.